Body Lotions: Weleda, Alba Botanica, Avalon Organics, Burts Bees! Herbal Body Lotion:After your bath or shower, enjoy our best natural and organic body care products. Herbal Body Lotion, made without water will transform dry, irritated, flaky skin into silky suppleness for hours after other lotions have worn off. 70% organic body care ingredients. 100% Preservative Free. Vegan. Gluten-free. Not tested on animals. Excellent for dry environments. Pure luxury. ORDER TODAY! • Herbal Body Lotion Lavender: Nurture your skin with our concentrated, 100% water-free body treatment. The ultimate remedy for dry skin. The rich water-free formula relieves skin of dryness, irritation, and flakiness hours after other lotions have worn off. Long lasting scent. 8 oz. ORDER NOW! Ingredients: Organic Aloe Barbadensis Leaf, Sunflower Seed Oil (Helianthus Annuus), Coconut Oil (Cocos Nucifera), Safflower Oil (Carthamus Tinctorius), Sesame Oil (Sesamum Indicum), Glyceryl Stearate, Glyceryl Stearate Citrate, Cetyl Alcohol, Glyceryl Oleate, Stearic Acid, Glyceryl Caprylate (Vegetable Derived Emulsifiers), Xanthan Gum, Glycerine, Babassu Oil, Sodium Phytate, Organic Extracts Of Calendula (Officinalis) Chamomile (Matricaria), Tocopherol (1700 Iu Vitamin E From Soy), Retinyl Palmitate (450,000 Iu Vitamin A), Natural Lavender, Rosemary, Geranium Fragrance. • Herbal Body Lotion Vanilla: Has a rich water-free formula that reduces skin of dryness, irritation, and flakiness hours after other lotions have worn off. Naturally-preserved. Water and Gluten-free. Vegan.. 8.5 oz. ORDER NOW! Ingredients: Organic Aloe Barbadensis Leaf, Sunflower Seed Oil (Helianthus Annuus), Coconut Oil (Cocos Nucifera), Safflower Oil (Carthamus Tinctorius), Sesame Oil (Sesamum Indicum), Glyceryl Stearate, Glyceryl Stearate Citrate, Cetyl Alcohol, Glyceryl Oleate, Stearic Acid, Glyceryl Caprylate (Vegetable Derived Emulsifiers), Xanthan Gum, Glycerine, Babassu Oil, Sodium Phytate, Organic Extracts Of Calendula (Officinalis) Chamomile (Matricaria), Tocopherol (1700 Iu Vitamin E From Soy), Retinyl Palmitate (450,000 Iu Vitamin A), Vanilla Fragrance, Vanilla (Plantifolia) extract..
• Herbal Body Lotion Lemon Verbena: Nurture your skin with our concentrated, 100% water-free body treatment. The ultimate remedy for dry skin. The rich water-free formula relieves skin of dryness, irritation, and flakiness hours after other lotions have worn off. Long lasting scent. 8.5 oz. ORDER NOW! BODY LOTION: Herbal Body Lotion w/Pump, 8.5 oz. • Daily Rich Body Lotion: This silky smooth lotion is made with natural moisturizers, premium botanical extracts and gently aromatic essential oils to maintain soft supple skin. Our light-textured formula provides daily nourishment and moisture to relieve and recondition extremely dry and sensitive skin. Enjoy its silky smooth, easily absorbed texture. Suitable for all ages, even babies. 200 ml./6.6 oz. ORDER NOW! Ingredients: Aqua (Water), Cetearyl Alcohol, Helianthus Annuus (Sunflower) Seed Oil, Macadamia Temifolia Seed Oil, Glycerin, Caprylic/Capric Triglyceride, Glyceryl Stearate, Pentaerythrityl Distearate, Simmondsia Chinensis (Jojoba) Seed Oil,Squalane,Theobroma Cacao (cocoa) Seed Butter, Oenothera Biennis (Evening Primrose) Oil, Butyrospermum Parkii (Shea) Butter, Phenoxyethanol, Cetearyl Glucoside, Sodium Stearoyl Glutamate, Lactobacillus/Portulaca Oleracea Ferment Extract, Xanthan Gum, Ethylhexylglycerin, Limomnene, Alchohol, Allantoin, Calendula Officinals Flower Extract, Panthenol, Canola Oil, Citrus Aurantium Amara (Bitter Orange) Flower Oil, Stellaria Media Extract, Arctium Lappa Root Extract, Linalool, Lavandula Angustifolia (Lavender) Oil, Citrus Grandis (Grapefruit) Peel Oil, Anthemis Nobilis Flower Oil, Daucus Carota Sativa Seed Oil, Daucus Carota Sativa Root Extract, Citronellol, Caprylyl Glycol, Hydroxycitronellal, Citral, Aloe Barbadensis Leaf Juice, Beta-carotene, Chlorphenesin, Tocopheryl Acetate, Butylene Glycol, Hexylene Glycol, Citric Acid. BODY LOTION: Daily Rich Body Lotion, 200 ml./6.6 oz. • Body Lotion Calendula: This light, nurturing and all-natural body lotion is dermatologically proven to be skin-friendly, even on sensitive skin. Organic Calendula flower extract calms skin and wraps your child in a nourishing layer of warmth. Blended with sweet Almond oil for easy absorption, and Beeswax softens your baby's skin and protects from dryness. 6.8 oz. ORDER TODAY! Ingredients: Water (Aqua), Sesamum Indicum (Sesame) Oil, Prunus Amygdalus Dulcis (Sweet Almond) Oil, Glycerin, Alcohol, Glyceryl Stearate SE, Cetearyl Glucoside, Hydrogenated Coco-Glycerides, Calendula Officinalis (Calendula) Flower Extract, Chamomilla Recutita Matricaria (Chamomile) Flower Extract, Beeswax (Cera Flava), Theobroma Cacao (Cocoa) Seed Butter, Xanthan Gum, Fragrance (Parfum), Limonene, Linalool, Geraniol, Citral. • Body Lotion Citrus Hydrating: The light-weight Citrus Hydrating Body Lotion for normal skin stimulates the body, mind and soul and leaves the skin deeply hydrated with a long-lasting feeling of nourishment. Blended with organic Aloe Vera, Coconut oil and Sesame oil offers moisture and leaves your skin beautifully soft while the zesty scent of sun-drenched lemons cheers the senses and enlivens the spirit. It's perfect after sun bathing for its cooling, invigorating and hydrating effects. 6.8 oz. ORDER TODAY! Ingredients: Water (Aqua), Sesamum Indicum (Sesame) Seed Oil, Alcohol, Cocos Nucifera (Coconut) Oil, Glycerin, Aloe Barbadensis Leaf Juice, Olea Europaea (Olive) Oil Unsaponifiables, Fragrance (Parfum), Butyrospermum Parkii (Shea) Butter, Glyceryl Stearate Citrate, Glyceryl Stearate SE, Magnesium Aluminum Silicate, Xanthan Gum, Chondrus Crispus (Carrageenan) Extract, Limonene*, Linalool, Citronellol, Geraniol, Citral, Coumarin. • Body Lotion Pomergranate Regenerating: Pomegranate Regenerating Body Lotion actively prevents the premature ageing of your skin. Maturing skin regains its firmness and feels velvety-smooth. Combined with organic Pomegranate Seed oil, Apricot Kernel oil and Shea Butter to help invigorate cell renewal and protects your skin from damaging environmental elements. Its remarkable scent will inspire your senses and arouse the romance and charm of Arabian nights. 6.8 oz. ORDER TODAY! Ingredients: Water (Aqua), Sesamum Indicum (Sesame) Seed Oil, Alcohol, Prunus Armeniaca (Apricot) Kernel Oil, Helianthus Annuus (Sunflower) Seed Oil, Butyrospermum Parkii (Shea) Butter, Olea Europaea (Olive) Oil Unsaponifiables, Glycerin, Glyceryl Stearate SE, Cetearyl Alcohol, Fragrance (Parfum), Punica Granatum (Pomegranate) Seed Oil, Panicum Miliaceum (Millet) Seed Extract, Xanthan Gum, Cetearyl Alcohol, Limonene, Linalool, Citronellol, Benzyl Benzoate, Benzyl Salicylate, Geraniol, Citral, Coumarin, Farnesol. • Body Lotion Sea Buckthorn Replenishing: The creamy Sea Buckthorn Replenishing Body Lotion protects dry skin from moisture loss, activates your skin's self-regulating functions and leaves you with lasting renewal and improved energy. Blended with organic Sea Buckthorn's natural vitamins, Carotene and unsaturated fatty acids, which support your skin's vital barrier functions. Combined with organic Mallow extracts, Shea Butter and Macadamia seed oil it helps dry skin recover its vitality and look smoother and softer. The fresh, fruity scent from essential oils of Mandarin, Grapefruit and Orange help convert your daily body care into a extraordinary experience. 6.8 oz. ORDER TODAY! INGREDIENTS Water (Aqua), Sesamum Indicum (Sesame) Seed Oil, Alcohol, Butyrospermum Parkii (Shea) Butter, Glyceryl Stearate SE, Glycerin, Hippophae Rhamnoides (Sea Buckthorn) Oil, Fragrance (Parfum), Macadamia Ternifolia Seed Oil, Malva Sylvestris (Mallow) Extract, Xanthan Gum, Tapioca Starch, Cetearyl Alcohol, Limonene, Linalool, Citronellol, Benzyl Benzoate, Benzyl Salicylate, Geraniol, Citral, Farnesol. • Body Lotion Wild Rose Pampering: The silky Wild Rose Pampering Body Lotion for normal to dry skin accelerates the skin's recovering processes and helps maintain natural elasticity to leave your skin feeling silky smooth and supple. Combined with precious Kernel extract from wild crafted Rosa Mosqueta, is luxuriant in skin-nurturing polyunsaturated fatty acids, moisturizing organic Jojoba oil and Witch Hazel water. The delicate floral scent from our organic Rosa Damascena stirs your senses and supplements any beauty regimen. 6.8 oz. ORDER TODAY! INGREDIENTS Water (Aqua), Simmondsia Chinensis (Jojoba) Seed Oil, Alcohol, Glycerin, Rosa Moschata (Rosehip) Seed Oil, Glyceryl Stearate SE, Fragrance (Parfum), Butyrospermum Parkii (Shea) Butter, Glyceryl Stearate Citrate, Hamamelis Virginiana (Witch Hazel) Distillate, Rosa Damascena (Rose) Extract, Magnesium Aluminum Silicate, Chondrus Crispus (Carrageenan) Extract, Xanthan Gum, Limonene, Linalool, Citronellol, Geraniol, Citral, Farnesol. • Body Lotion White Mallow: (White Mallow Body Lotion Awarded the National Eczema Association Seal of Acceptance™) This gentle, fragrance-free lotion hydrates sensitive skin and alleviates itching caused by dryness. Made with organic White Mallow and Pansy extracts to calm baby's dry skin and encourage the growth of healthy-looking skin. Blended with organic Coconut Oil to moisturize with a cooling effect and leaves skin silky soft, Borage Seed oil and organic Safflower Seed oil, rich in essential fatty acids, help reinforce and enrich baby's delicate skin barrier. 6.8 oz. ORDER TODAY! • Body Lotion Evening Primrose Age Revitalizing: Evening Primrose Age Revitalizing Body Lotion is a luxurious lotion for dry, mature skin that offers thorough, long-lasting nurture and moisture. Made with skin-restoring organic Evening Primrose Seed oil provides essential fatty acids that help recondition the skin's protective barrier, organic Shea Butter relaxes and replenishes, leaving skin soft and moisturized. Gotu-Kola extract helps increase firmness, so skin appears more supple and youthful. Opulent and invigorating, this natural body lotion leaves skin glowing and restored, with a soft, floral fragrance inspired by blooming Evening Primrose flowers. 6.8 oz. ORDER TODAY! INGREDIENTS: Water (Aqua), Sesamum Indicum (Sesame), Alcohol, Butyrospermum Parkii (Shea), Olea Europaea (Olive), Glyceryl Stearate, Glycerin, Oenothera Biennis (Evening Primrose), Panicum Miliaceum (Millet), Gotu-kola (Gotu-kola), Xanthan Gum, Tapioca Starch, Cetearyl, Fragrance (Parfum), Limonene, Linalool, Benzyl Benzoate, Benzyl Salicylate, Geraniol, Citral, Eugenol, Farnesol. BODY LOTION: Body Lotion, 6.8 oz. BODY LOTION: Body Lotion Calendula, 6.8 oz. • Smoothing Facial Lotion Wild Rose: Wild Rose Facial Lotion is a light, all-natural lotion that helps soften first lines and retain skin's youthful strength. Made with organic Rosehip Seed oil to help reduce signs of aging, fine lines and dark spots, and stabilize skin's elasticity. Blended with organic Jojoba Seed oil to hydrate and keep skin soft and smooth, extracts of Orpine, Horsetail and Myrrh nurture and rejuvenate skin. A delicate, lasting scent of fresh organic Roses complements your senses. With regular use of Wild Rose Facial Lotion, skin is left glowing with moisture, fine lines are relaxed, and vigor is renewed. 1 oz. ORDER TODAY! Ingredients: Water (Aqua), Alcohol, Simmondsia Chinensis (Jojoba) Seed Oil, Prunus Persica (Peach) Kernel Oil, Glycerin, Rosa Moschata (Rosehip) Seed Oil, Glyceryl Oleate, Copernicia Cerifera (Carnauba) Wax, Beeswax (Cera Flava), Magnesium Aluminum Silicate, Fragrance (Parfum), Sedum Purpureum (Orpine) Extract, Rosa Damascena (Rose) Flower Wax, Equisetum Arvense (Horsetail) Extract, Commiphora Myrrha (Myrrh) Extract, Xanthan Gum, Carrageenan (Carrageenan) Extract, Glyceryl Stearate SE, Sodium Beeswax, Limonene, Linalool*, Citronellol, Benzyl Alcohol, Geraniol, Citral, Eugenol, Farnesol. • Soothing Facial Lotion Almond: Almond Soothing Facial Lotion is a fragrance-free, hypoallergenic lotion that fortifies skin's natural protective barrier, helps recondition balance and soothes sensitive skin. Almond Soothing Facial Lotion is free of potentially irritating chemicals, preservatives and fragrances. Made with organic Sweet Almond oil mildly nurtures sensitive skin and protects against moisture loss. Blended with Plum Kernel oil, packed with antioxidant vitamins A and E, helps absorb easily to calm and comfort sensitive or reactive skin. Light and fast absorbing, Almond Soothing Facial Lotion leaves skin soft, cool and stable, with no sensitivity in sight. 1 oz. ORDER TODAY! • Hydrating Facial Lotion Iris: Iris Hydrating Facial Lotion is an all-natural, fast absorbing facial moisturizer that helps normalize skin's natural moisture levels and keep it healthy and stable all day long. Made with Iris Root extract helps stabilize moisture levels in the skin, Jojoba oil hydrates and keeps skin soft and relaxed without clogging pores. Blended with Witch Hazel and Calendula extracts to offer anti-inflammatory and skin-calming properties. With ideal moisture balance, skin feels smooth and looks fresh and glowing morning till night. 1 oz. ORDER TODAY! Ingredients: Water (Aqua), Simmondsia Chinensis (Jojoba) Seed Oil, Alcohol, Hamamelis Virginiana (Witch Hazel) Distillate, Glycerin, Glyceryl Linoleate, Hydrolyzed Beeswax, Magnesium Aluminum Silicate, Calendula Officinalis (Calendula), Iris Germanica Root Extract, Xanthan Gum, Sodium Beeswax, Fragrance (Parfum), Limonene, Linalool, Citronellol, Geraniol, Citral. • Soothing Cleansing Lotion Almond: Almond Soothing Cleansing Lotion is a hypo-allergenic and fragrance-free cleanser to help calm irritation, retain skin's healthy balance, and gently removing impurities. Made with organic Sweet Almond oil, rich in essential fatty acids to help nurture and comfort sensitive skin and balancing its natural protective barrier. Blended with Plum Kernel oil, high in antioxidants A and E, to soften skin and protect from environmental elements. Free of harsh cleansers or sulfates that can strip skin and damage its natural barrier, this creamy Almond Soothing Cleansing Lotion leaves skin soft, clean and soothing. 2.5 oz. ORDER TODAY! INGREDIENTS Water (Aqua), Prunus Amygdalus Dulcis (Sweet Almond) Oil, Glyceryl Stearate SE, Alcohol, Prunus Domestica (Plum) Seed Oil, Xanthan Gum, Lactic Acid. Iris Hydrating Facial Lotion 1 oz. | Almond Soothing Cleansing Lotion 2.5 oz. BODY LOTION: Almond Soothing Facial Lotion, 1 oz. BODY LOTION: Wild Rose Smoothing Facial Lotion, 1 oz. Hydrating & Smoothing Body Lotion: This calming, naturally fragranced body lotion is blended with organic Aloe, Rice protein, Acai, essential oils and Vitamin E. Helps retain moisture and improve elasticity. Non-greasy, absorbs quickly. Non-irritating, won't clog pores. Perfect for sensitive skin. • Hydrating & Smoothing Body Lotion Pure Unscented: For those with especially sensitive skin, or who simply desire their body care fragrance-free, the unscented collection is renewed, clean and pure. 8 oz. ORDER NOW! Ingredients: Organic Aloe Barbadensis Leaf Juice, Organic EDA 38B (LAlcohol Denat), Organic Butyrospermum Parkii (Shea Butter), Organic Theobroma Grandiflorum (Cupuacu) Butter, Glycerin, Organic Oryza Sativa (Rice) Bran Extract Organic Prunus Amygdalus Dulcis (Sweet Almond) Oil, Organic Oryza Sativa (Rice) Bran Extract, Xanthan Gum, Organic Euterpe Oleracea (Acai) Fruit OIl, Organic soy Lecithin, Organic Lepidium Meyenii (Maca) Root Extract, Organic Symphytum Officinale (Comfrey) Root Extract, Tocopherol (Vitamin E). • Hydrating & Smoothing Body Lotion Wild Berries: Organic Strawberry, Raspberry and Currant obtain extra zest from the essence of Apple and sweet Peach, as well as bright notes of Grapefruit and Lemon, for a fresh-picked fragrance with a brilliant spirit.8 oz. ORDER NOW! Ingredients: Organic Aloe Barbadensis Leaf Juice Organic SDA 38B (Alcohol Denat), Organic Butyrospermum Parkii (Shea Butter), Organic Theobroma Grandiflorum (Cupuacu) Butter, Glycerin, Organic Oryza Sativa (Rice) Bran Oil, Organic Prunus Amygdalus Dulcis (Sweet Almond) Oil, Organic Oryza Sativa (Rice) Bran Extract, Orgnaic Fragrance, Xanthan Gum, Organic Euterpe Oleracea (Acai) Fruit Oil, Organic Soy Lecithin, Organic Lepidium Meyenii (Maca) Root Extract, Organic Symphytum Officinale (Comfrey) Root Extract, Tocopherol (Vitamin E). • Hydrating & Smoothing Body Lotion Lavender Mint: Soothing organic Lavender combines invigorating organic Mint to help calm the body and soul. Notes of Bergamot, Lemon and Orange revitalize, while Rosemary and Spearmint energize. 8 oz. ORDER NOW! Ingredients: Organic Aloe Barbadensis Leaf Juice, Organic SDA 38B (Alcohol Denat), Organic Butyrospermum Parkii (Shea Butter), Organic theobroma Grandiflorum (Cupuacu) Butter, Glycerin, Organic Oryza Sativa (Rice) Bran Oil,Organic Prunus Amygdalus Dulcis (Sweet Almond) Oil, Organic Oryza Sativa (Rice)Bran Extract, Organic Fragrance, Xanthan Gum, Organic euterpe Oleracea (Acai) Fruit Oil, Organic soy Lecithin, Organic Lepidium Meyenii (Maca) Root Extract, Organic Symphytum Officinale (Comfrey) Root Extract, Toco9pherol (Vitamin E). • Hydrating & Smoothing Body Lotion Almond Vanilla: Organic Almond and Vanilla provide this scent its sweet quality, while notes of organic Caramel, Cherry and Pistachio add a delightful warmth. 8 oz. ORDER NOW! Ingredients: Organic Aloe Barbadensis Leaf Juice Organic SDA 38B (Alcohol Denat), Organic Butyrospermum Parkii (Shea Butter), Organic Theobroma Grandiflorum (Cupuacu) Butter, Glycerin, Organic Oryza Sativa (Rice) Bran Oil, Organic Prunus Amyglalus Dulcis (Sweet Almond) Oil, Organic Oryza Sativa (Rice) Bran Extract, Organic Fragrance, Xanthan Gum, Organic Euterpe Oleraces (Acai) Fruit Oil, Organic Soy Lecithin, Organic Lepidium Meyenii (Maca) Root Extract, Organic Symphytum Officinale (Comfrey) Root Extract, Tecopherol (Vitamin E). • Hydrating & Smoothing Body Lotion Fresh Fig: Organic Fig and Apricot blend with notes of organic Citrus, Apple and Currant for a captivating aroma that's at once warm and uplifting. 8 oz. ORDER NOW! Ingredients: Organic Aloe Barbadensis Leaf Juice, Organic SDA 38B (Alcohol Denat), Organic Butyrospermum Parkii (Shea Butter), Organic Theobroma Grandiflorum (Cupuacu) Butter, Glycerin, Organic Oryza Sativa (Rice) Bran Oil, Organic Prunus Amygdalus Dulcis (Sweet Almond) Oil, Organic Oryza Sativa (Rice) Bran Extract, Organic Fragrance, Xanthan Gum, Organic Euterpe Oleracea (Acai) Fruit Oil, Organic Soy Lecithin, Organic Lepidium Meyenii (Maca) Root Extract, Organic Symphytum Officinale (Comfrey) Root Extract, Tocopherol (Vitamin E). • Hydrating & Smoothing Body Lotion Spiced Citrus: Hints of Cardamom, Clove, Ginger and Black Pepper add a fall spirit to this Citrus melody. The fragrance is mild and not overwhelming with light traces of the perfumed notes. 8 oz. ORDER NOW! Ingredients: Organic Aloe Barbadensis Leaf Juice, Organic SDA 38B (Alcohol Denat), Organic Butyrospermum Parkii (Shea Butter), Organic Theobroma Grandiflorm (Cupuacu) Butter, Organic Soy Lecithin, Organic Prumus Amygdalus Dulcis (Sweet Almond) Oil, Organic Oryza Sativa (Rice) Bran Extract, Xanthan Gum, Organic Euterpe Oleracea (Acai) Fruit Oil, Glycerin, Organic Fragrance, Orgainc Lepidium Meyenii (Maca) Root Extract, Organic Sympytum, Officinale (Comfrey) Root Extract, Tocopherol (Vitamin E). • Hydrating & Smoothing Body Lotion Lemon Thyme: Notes of organic Lemon revitalize an aromatic blend of Thyme, Rosemary, Sage, Clary Sage and Basil, while Spearmint and Peppermint offer freshness to this glistening scent. 8 oz. ORDER NOW! Ingredients: Organic Aloe Barbadensis Leaf Juice, Organic SDA 38B (Alcohol Denat), Organic Butyrospermum Parkii (Shea Butter), Organic Theobroma Grandiflorum (Cupuaçu) Butter, Glycerin, Organic Oryza Sativa (Rice) Bran Oil, Organic Prunus Amygdalus Dulcis (Sweet Almond) Oil, Organic Oryza Sativa (Rice) Bran Extract, Organic Fragrance, Organic Citrus Medica Limonum (Lemon) Peel Oil, Xanthun Gum, Organic Euterpe Oleracea (Açai) Fruit Oil, Organic Soy Lecithin, Organic Lepidium Meyenii (Maca) Root Extract*, Organic Symphytum Officinale (Comfrey) Root Extract, Tocopherol (Vitamin E). • Deeply Nourishing Body Lotion Coconut Argan: A symphonic mix of sweet Coconut and delicate Hibiscus extract warmed by notes of Vanilla bean and just a hint of Lemon are what make this stunning tropical perfume tantalizing. 8 oz. ORDER NOW! BODY LOTION: Hydrating & Smoothing Body Lotion, 8 oz. Cocoa Butter Hand & Body Lotion: Butter up with this smoothing, luxurious, hydrating treat. Cocoa butter, a vital conditioning nourishment, is combined with Shea Butter and Vitamin E plus emollient oils of Jojoba, Macadamia, Flax and Sunflower. It's a tropical gem that will drive dry skin on a permanent vacation. Hypo-allergenic. • Cocoa Butter Hand & Body Lotion: 7 oz. ORDER TODAY! • Cocoa Butter Hand & Body Lotion: 24 oz. ORDER TODAY! Ingredients: Aqua (Water), Caprylic/Capric Triglyceride, Glycerin, Cetyl Alcohol, Stearyl Alcohol, Aloe Barbadensis Leaf Juice, Stearic Acid, Cetearyl Alcohol, Dimethicone, Aleurites Moluccana Seed Oil, Butyrospermum Parkii (Shea Butter), Helianthus Annuus (Sunflower) Seed Oil, Linum Usitatissimum (Linseed) Seed Oil, Macadamia Ternifolia Seed Oil, Simmondsia Chinensis (Jojoba) Seed Oil(1), Theobroma Cacao (Cocoa) Seed Butter, Ananas Sativus (Pineapple) Fruit Extract(1), Carica Papaya (Papaya) Fruit Extract, Laminaria Digitata Extract, Zingiber Officinale (Ginger) Root Extract, Allantoin, Glyceryl Stearate SE, Panthenol, Polysorbate 60, Potassium Hydroxide, Sodium PCA, Sodium Riboflavin Phosphate, Sorbitol, Tocopheryl Acetate, Xanthan Gum, Alcohol, Benzyl Alcohol, Ethylhexylglycerin, Phenoxyethanol, Potassium Sorbate, Sodium Benzoate, Benzyl Benzoate, Alpha-Isomethyl Ionone, Fragrance (Parfum), Caramel. • Replenishing Kona Coffee After-Sun Lotion: Exotic and fragrant, the natural acids in Coffee help relax skin and rejuvenate circulation, while Caffeine and Green Tea help balance free radicals caused by sun exposure. Botanical emollients calm, moisturize and nurture tired skin. After-sun delight. Hypo-allergenic and pH Balanced. 8.5 oz. ORDER TODAY! Ingredients: Aqua (Water), Aloe Barbadensis Leaf Juice, Sorbitol, Helianthus Annuus (Sunflower) Seed Oil, Stearic Acid, Glycerin, Cetyl Alcohol, Dimethicone, Glyceryl Stearate SE, Camellia Sinensis Leaf Extract, Carica Papaya (Papaya) Fruit Extract, Coffea Arabica (Coffee) Seed Extract, Hedychium Coronarium Root Extract, Lavandula Angustifolia (Lavender) Extract, Macrocystis Pyrifera Extract, Aleurites Moluccana Seed Oil, Linum Usitatissimum (Linseed) Seed Oil, Macadamia Ternifolia Seed Oil, Simmondsia Chinensis (Jojoba) Seed Oil, Butyrospermum Parkii (Shea Butter), Theobroma Cacao (Cocoa) Seed Butter, Allantoin, Caffeine, Carbomer, Panthenol, Sodium Cocoyl Glutamate, Sodium Hydroxide, Sodium PCA, Tocopherol, Benzyl Alcohol, Ethylhexylglycerin, Phenoxyethanol, Benzyl Benzoate, Coumarin, Fragrance (Parfum).. BODY LOTION: Cocoa Butter Hand & Body Lotion, 7 oz. BODY LOTION: Cocoa Butter Hand & Body Lotion, 24 oz. BODY LOTION: Kona Coffee Sun Lotion, 8.5 oz. Organic Hand & Body Lotion: With 50% certified organic ingredients, will hydrate and nourish your skin with emollient-rich plant oils, vitamin antioxidants and healing herbal botanicals. No animal ingredients and no animal testing. 12 fl. oz. ORDER TODAY! • Organic Hand & Body Lotion Lavender: Rebalance and restore your skin. Plant lipids and oils naturally restore your skin's lipid balance, so even extra dry, undernourished skin is replenished with long-lasting, easily absorbed moisturization. Rejuvenated at the cellular level with nourishing Lavender Essential Oil and Beta-Glucan, skin is instantly soft and silky. Lavender Essential Oil, Aloe, Vitamin E, plant lipids and the rich oat nutrition of Beta-Glucan deliver advanced moisture relief and vital nourishment to extra dry skin. Recommended for daily all-over use to help prevent and relieve extra dry skin. 12 oz. / 32 oz. ORDER NOW! Ingredients: Aqua (Water), Aloe Barbadensis Leaf Juice(1), Glycerin, Carthamus Tinctorius (Safflower) Seed Oil(1), Glyceryl Stearate SE, Stearic Acid, Avena Sativa (Oat) Bran(1), Beta-Glucan(1), Camellia Sinensis Leaf Extract(1), Chamomilla Recutita (Matricaria) Flower Extract(1), Cucumis Sativus (Cucumber) Seed Extract(1), Echinacea Angustifolia Extract(1), Lavandula Angustifolia (Lavender) Flower/Leaf/Stem Extract(1), Butyrospermum Parkii (Shea Butter)(1), Citrus Aurantifolia (Lime) Oil, Citrus Limon (Lemon) Peel Oil, Cocos Nucifera (Coconut) Oil(1), Lavandula Angustifolia (Lavender) Oil, Linum Usitatissimum (Flaxseed) Oil(1), Olea Europaea (Olive) Fruit Oil(1), Persea Gratissima (Avocado) Oil(1), Arginine, Bisabolol, Caprylic/Capric Triglyceride, Cetyl Alcohol, Potassium Hydroxide, Sodium Hyaluronate, Sodium Stearoyl Glutamate, Stearyl Alcohol, Tocopheryl Acetate, Xanthan Gum, Alcohol(1), Benzyl Alcohol, Potassium Sorbate, Sodium Benzoate, Citral, Coumarin, Geraniol, Limonene, Linalool. • Organic Hand & Body Lotion Lemon Verbena: Rebalance and nourish your skin. A lipid-rich combination of Safflower Oil, Beta-Glucan and Shea Butter, combined with refreshing Lemon Essential Oil and soothing Aloe Vera, naturally restore your skin's lipid balance with a daily dose of nourishing moisture to keep skin soft and supple. 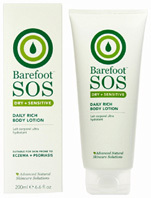 Recommended for daily all-over use to help prevent and relieve dry skin. 12 oz. ORDER NOW! Ingredients: Aqua (Water), Aloe Barbadensis Leaf Juice(1), Glycerin, Carthamus Tinctorius (Safflower) Seed Oil(1), Glyceryl Stearate SE, Stearic Acid, Avena Sativa (Oat) Bran(1), Beta-Glucan(1), Calendula Officinalis Flower Extract(1), Chamomilla Recutita (Matricaria) Flower Extract(1), Citrus Limon (Lemon) Peel Extract(1), Styrax Benzoin Resin Extract, Butyrospermum Parkii (Shea Butter)(1), Cedrus Atlantica Bark Oil, Citrus Aurantifolia (Lime) Oil, Citrus Aurantium Dulcis (Orange) Oil, Citrus Grandis (Grapefruit) Peel Oil, Citrus Limon (Lemon) Peel Oil, Cocos Nucifera (Coconut) Oil(1), Linum Usitatissimum (Flaxseed) Oil(1), Litsea Cubeba Fruit Oil, Olea Europaea (Olive) Fruit Oil(1), Persea Gratissima (Avocado) Oil(1), Arginine, Bisabolol, Caprylic/Capric Triglyceride, Cetyl Alcohol, Potassium Hydroxide, Sodium Hyaluronate, Sodium Stearoyl Glutamate, Stearyl Alcohol, Tocopheryl Acetate, Xanthan Gum, Alcohol(1), Benzyl Alcohol, Potassium Sorbate, Sodium Benzoate, Cinnamyl Alcohol, Citral, Geraniol, Limonene, Linalool. • Organic Hand & Body Lotion Rosemary: Rebalance and rejuvenate your skin. Plant lipids, from a triple dose of Safflower Oil, Coconut Oil and Shea Butter, naturally restore your skin's lipid balance for long-lasting moisturization. Rosemary Essential Oil and Beta Glucan rejuvenate and energize at the cellular level for instantly softer, more refreshed skin. Rosemary Essential Oil, Vitamin E, Aloe and the rich oat nutrition of Beta-Glucan deliver advanced moisture relief to rejuvenate extra dry, tired skin. Recommended for daily all-over use to help prevent and relieve extra dry skin. 12 oz. ORDER NOW! Ingredients: Aqua (Water), Aloe Barbadensis Leaf Juice(1), Glycerin, Carthamus Tinctorius (Safflower) Seed Oil(1), Glyceryl Stearate SE, Stearic Acid, Avena Sativa (Oat) Bran(1), Beta-Glucan(1), Calendula Officinalis Flower Extract(1), Dioscorea Villosa (Wild Yam) Root Extract(1), Rosmarinus Officinalis (Rosemary) Leaf Extract(1), Styrax Benzoin Resin Extract, Copaifera Officinalis (Balsam Copaiba) Resin, Butyrospermum Parkii (Shea Butter)(1), Cedrus Atlantica Bark Oil, Citrus Aurantium Dulcis (Orange) Peel Oil, Citrus Limon (Lemon) Peel Oil, Cocos Nucifera (Coconut) Oil(1), Coriandrum Sativum (Coriander) Fruit Oil, Geranium Maculatum Oil, Lavandula Angustifolia (Lavender) Oil, Olea Europaea (Olive) Fruit Oil(1), Persea Gratissima (Avocado) Oil(1), Pogostemon Cablin (Patchouli) Oil, Rosmarinus Officinalis (Rosemary) Leaf Oil, Linum Usitatissimum (Flaxseed) Oil(1), Arginine, Bisabolol, Caprylic/Capric Triglyceride, Cetyl Alcohol, Potassium Hydroxide, Sodium Hyaluronate, Sodium Stearoyl Glutamate, Stearyl Alcohol, Tocopheryl Acetate, Xanthan Gum, Alcohol(1), Benzyl Alcohol, Potassium Sorbate, Sodium Benzoate, Cinnamyl Alcohol, Citral, Citronellol, Coumarin, Geraniol, Limonene, Linalool. • Organic Hand & Body Lotion Peppermint: Rebalance and revitalize your skin. Energizing Peppermint Essential Oil and a triple dose of rich lipids from plant oils naturally restore your skin's lipid balance, so even extra-dry skin is replenished with long-lasting, easily absorbed moisturization. Rejuvenated at the cellular level with nourishing Beta-Glucan, skin looks and feels soft and healthy. Peppermint Essential Oil, Aloe, Vitamin E and the rich oat nutrition of Beta-Glucan deliver advanced moisture relief to revitalize extra dry skin. Recommended for daily all-over use to help prevent and relieve extra dry skin. 12 oz. ORDER NOW! Ingredients: Aqua (Water), Aloe Barbadensis Leaf Juice(1), Glycerin, Carthamus Tinctorius (Safflower) Seed Oil(1), Glyceryl Stearate SE, Stearic Acid, Avena Sativa (Oat) Bran(1), Beta-Glucan(1), Calendula Officinalis Flower Extract(1), Chamomilla Recutita (Matricaria) Flower Extract(1), Mentha Piperita (Peppermint) Leaf Extract(1), Canarium Luzonicum Gum Nonvolatiles, Butyrospermum Parkii (Shea Butter)(1), Cedrus Atlantica Bark Oil, Citrus Aurantium Dulcis (Orange) Peel Oil, Cocos Nucifera (Coconut) Oil(1), Geranium Maculatum Oil Linum Usitatissimum (Flaxseed) Oil(1), Mentha Piperita (Peppermint) Oil, Mentha Arvensis Leaf Oil, Olea Europaea (Olive) Fruit Oil(1), Persea Gratissima (Avocado) Oil(1), Arginine, Bisabolol, Caprylic/Capric Triglyceride, Cetyl Alcohol, Potassium Hydroxide, Sodium Hyaluronate, Sodium Stearoyl Glutamate, Stearyl Alcohol, Tocopheryl Acetate, Xanthan Gum, Alcohol(1), Benzyl Alcohol, Potassium Sorbate, Sodium Benzoate, Citral, Citronellol, Geraniol, Limonene, Linalool. • Organic Hand & Body Lotion Ylang Ylang: Rebalance and replenish your skin. Safflower Oil, Beta Glucan and Shea Butter, combined with sensual Ylang Ylang Essential Oil and soothing Aloe Vera, provide the daily hydration necessary to keep skin soft and supple. Ylang Ylang Essential Oil, Aloe, rich plant lipids and essential vitamins replenish normal to dry skin with nourishing daily moisture Recommended for daily all-over use to help prevent and relieve extra dry skin. 12 oz. ORDER NOW! Ingredients: Aqua (Water), Aloe Barbadensis Leaf Juice(1), Glycerin, Carthamus Tinctorius (Safflower) Seed Oil(1), Glyceryl Stearate SE, Stearic Acid, Avena Sativa (Oat) Bran(1), Beta-Glucan(1), Calendula Officinalis Flower Extract(1), Chamomilla Recutita (Matricaria) Flower Extract(1), Dioscorea Villosa (Wild Yam) Root Extract(1), Aniba Rosaeodora (Rosewood) Wood Oil, Butyrospermum Parkii (Shea Butter)(1), Cananga Odorata Flower Oil, Cananga Odorata Leaf Oil, Cedrus Atlantica Bark Oil, Cinnamomum Camphora (Camphor) Bark Oil, Citrus Grandis (Grapefruit) Peel Oil, Cocos Nucifera (Coconut) Oil(1), Copaifera Officinalis (Balsam Copaiba) Resin, Linum Usitatissimum (Flaxseed) Oil(1), Olea Europaea (Olive) Fruit Oil(1), Persea Gratissima (Avocado) Oil(1), Arginine, Bisabolol, Caprylic/Capric Triglyceride, Cetyl Alcohol, Potassium Hydroxide, Sodium Hyaluronate, Sodium Stearoyl Glutamate, Stearyl Alcohol, Tocopheryl Acetate, Xanthan Gum, Alcohol(1), Benzyl Alcohol, Potassium Sorbate, Sodium Benzoate, Benzyl Benzoate, Benzyl Salicilate, Eugenol, Farnesol, Geraniol, Limonene, Linalool. • Organic Hand & Body Lotion Aloe Unscented: Rebalance and relieve your skin. An intensely moisturizing and anti-oxidant rich combination of Aloe Vera, Shea Butter, Calendula and Vitamin E deliver naturally soothing relief while replenishing your skin's lipid barrier so rough, dry skin is nourished back to its softest, healthiest best. Aloe Extract, Beta-Glucan, Shea Butter, and Vitamin E deliver instant, soothing relief and intense hydration to extremely dry and sensitive skin. Recommended for daily all-over use to help prevent and relieve extra dry skin. 12 oz. / 32 oz. ORDER NOW! • Organic Hand & Body LotionOlive & Grape Seed: Rebalance and relieve your skin – without fragrance. An intensely moisturizing and anti-oxidant rich combination of Olive and Grape Seed Oils, Aloe Vera, Vitamin E and Shea Butter deliver naturally soothing relief while replenishing your skin's lipid barrier so rough, dry skin is nurtured back to soft comfort. Olive & Grape Seed Essential Oils, Aloe, Beta-Glucan, Shea Butter, and Vitamin E deliver instant, soothing relief and intense hydration to extremely dry and sensitive skin. Recommended for daily all-over use to help prevent and relieve extra dry skin. 12 oz. ORDER NOW! Ingredients: Aqua (Water), Aloe Barbadensis Leaf Juice(1), Glycerin, Carthamus Tinctorius (Safflower) Seed Oil(1), Glyceryl Stearate SE, Stearic Acid, Avena Sativa (Oat) Bran(1), Beta-Glucan(1), Calendula Officinalis Flower Extract (1), Chamomilla Recutita (Matricaria) Flower Extract(1), Dioscorea Villosa (Wild Yam) Root Extract(1), Butyrospermum Parkii (Shea Butter)(1), Cocos Nucifera (Coconut) Oil(1), Linum Usitatissimum (Flaxseed) Oil(1), Olea Europaea (Olive) Fruit Oil(1), Persea Gratissima (Avocado) Oil(1), Vitis Vinifera (Grape) Seed Oil(1), Arginine, Bisabolol, Caprylic/Capric Triglyceride, Cetyl Alcohol, Potassium Hydroxide, Sodium Hyaluronate, Sodium Stearoyl Glutamate, Stearyl Alcohol, Tocopheryl Acetate, Xanthan Gum, Alcohol(1), Benzyl Alcohol, Potassium Sorbate, Sodium Benzoate. • Organic Hand & Body Lotion Grapefruit Geranium: Rebalance and rejuvenate your skin. Plant lipids, from a triple dose of Safflower Oil, Coconut Oil and Shea Butter, naturally restore your skin's lipid balance for long-lasting moisturization. Grapefruit and Geranium Oils and Beta-Glucan rejuvenate and energize for instantly softer, more refreshed skin. Grapefruit & Geranium Essential Oils, Aloe, Vitamin E and the rich oat nutrition of Beta-Glucan deliver advanced moisture relief and rejuvenate extra dry skin. Recommended for daily all-over use to help prevent and relieve extra dry skin. 12 oz. ORDER NOW! Ingredients: Aqua (Water), Aloe Barbadensis Leaf Juice(1), Glycerin, Carthamus Tinctorius (Safflower) Seed Oil(1), Glyceryl Stearate SE, Stearic Acid, Avena Sativa (Oat) Bran(1), Beta-Glucan(1), Butyrospermum Parkii (Shea Butter)(1), Barosma Betulina Leaf Oil, Citrus Aurantium Dulcis (Orange) Peel Oil, Citrus Grandis (Grapefruit) Peel Oil, ,Cocos Nucifera (Coconut) Oil(1), Geranium Maculatum Oil, Linum Usitatissimum (Flaxseed) Oil(1), Olea Europaea (Olive) Fruit Oil(1), Persea Gratissima (Avocado) Oil(1), Arginine, Bisabolol, Caprylic/Capric Triglyceride, Cetyl Alcohol, Potassium Hydroxide, Sodium Hyaluronate, Sodium Stearoyl Glutamatte, Stearyl Alcohol, Tocopheryl Acetate, Xanthan Gum, Benzyl Alcohol, Potassium Sorbate, Sodium Benzoate, Citral, Citronellol, Geraniol, Limonene, Linalool. Lavender Hand & Body Lotion, 12 oz. Lemon Verbena Hand & Body Lotion, 12 oz. Rosemary Hand & Body Lotion, 12 oz. Peppermint Hand & Body Lotion, 12 oz. Ylang Ylang Hand & Body Lotion, 12 oz. Aloe Unscented Hand & Body Lotion, 12 oz. Olive Grape Seed Hand & Body Lotion, 12 oz. Grapefruit Geranium Hand & Body Lotion, 12 oz. BODY LOTION: Organic Hand & Body Lotion, 12 oz. BODY LOTION: Organic Hand & Body Lotion, 32 oz. • Lavender Luminosity Moisture Plus Lotion (Broad Spectrum SPF 15): Daily UVA and UVB protection with kombucha to help smooth the skin's surface enhancing radiance. Skin soothing lavender, arnica and turmeric plus flax and borage oils combine for weightless hydration. Mineral sunscreens protect skin from damaging ultraviolet rays known to cause premature aging. Hypo-allergenic lotion protects from UV-induced dullness for Renewed Radiance. 12 oz. ORDER NOW! Ingredients: Aloe Barbadensis Leaf Juice(1), Aqua (Water), Helianthus Annuus (Sunflower) Seed Oil(1), Simmondsia Chinensis (Jojoba) Seed Oil(1), Glyceryl Stearate, Cetyl Alcohol, Glycerin, Polyglycerol-10 Laurate, Cetearyl Olivate, Magnesium Aluminum Silicate, Sorbitan Olivate, Borage Officinalis Seed Oil(1), Citrus Aurantifolia (Lime) Oil, Citrus Limon (Lemon) Peel Oil, Lavandula Angustifolia (Lavender) Oil, Linum Usitatissimum (Linseed) Seed Oil(1), Rosa Canina (Rose Hip) Fruit Oil(1), Arnica Montana Flower Extract(1), Calendula Officinalis Flower Extract(1), Camellia Sinensis Leaf Extract(1), Chamomilla Recutita (Matricaria) Flower Extract(1), Curcuma Longa (Turmeric) Root Extract(1), Laminaria Digitata (Kelp) Extract(1), Lavandula Angustifolia (Lavender) Flower Extract(1), Saccharomyces/Xylinum/Black Tea Ferment(1,2), Ascorbic Acid,Tocopherol Acetate,Alcohol(1), Benzyl Alcohol, Potassium Sorbate, Sodium Benzoate, Citral, Coumarin, Geraniol, Limonene, Linalool. • Vitamin C Renewal Moisture Plus Lotion (Broad Spectrum SPF 15): This daily moisture lotion provides daily UVA and UVB protection plus organic Sunflower, Jojoba and Borage oils to repair and nourish. Fortified with antioxidant-rich Vitamin C, Lemon Bioflavonoids and White Tea to soothe oxidative stress and help fight the visible signs of photo-aging. Antioxidant-intensive moisturizer protects against sun damage to provide Photo-Aging Defense. 12 oz. ORDER NOW! Ingredients: Aloe Barbadensis Leaf Juice(1), Aqua (Water), Helianthus Annuus (Sunflower) Seed Oil(1), Glyceryl Stearate, Simmondsia Chinensis (Jojoba) Seed Oil(1), Glycerin, Cetyl Alcohol, Polyglycerol-10 Laurate, Cetearyl Olivate, Magnesium Aluminum Silicate, Sorbitan Olivate, Arnica Montana Flower Extract(1), Calendula Officinalis Flower Extract(1), Camellia Sinensis Leaf Extract(1), Chamomilla Recutita (Matricaria) Flower Extract (1), Citrus Limon (Lemon) Peel Extract, Laminaria Digitata Extract(1), Lavandula Angustifolia (Lavender) Extract(1), Olea Europaea (Olive) Leaf Extract(1), Borago Officinalis Seed Oil(1), Citrus Aurantium Bergamia (Bergamot) Fruit Oil, Citrus Aurantium Dulcis (Orange) Peel Oil, Citrus Limon (Lemon) Peel Oil, Linum Usitatissimum (Linseed) Seed Oi(1), Rosa Canina Fruit Oil(1), Ascorbic Acid, Tocopheryl Acetate, Alcohol(1), Benzyl Alcohol, Potassium Sorbate, Sodium Benzoate, Citral, Limonene, Linalool. • CoQ10 Repair Ultimate Firming Body Lotion: Mature skin, with reduced cellular energy, takes longer to restore which is why cuts and bruises are slower to heal later in life. To help skin uphold a tight, firm appearance year after year, this moisturizing body lotion helps supply the vigor necessary for sufficient production and repair of elastin and collagen. When the skin's primary structure is reinforced and skin is bathed with rich botanical hydration, it feels firm, supple and soft to the touch. 8 oz. ORDER NOW! Ingredients: Aloe Barbadensis Leaf Juice(1), Aqua (Water), Glycerin, Carthamus Tinctorius (Safflower) Seed Oil(1), Glyceryl Stearate SE, Stearic Acid, Arnica Montana Flower Extract(1), Camellia Sinensis Leaf Extract(1), Chamomilla Recutita (Matricaria) Flower Extract(1), Chlorella Pyrenoidosa Extract(1), Chondrus Crispus (Carrageenan) Extract(1), Echinacea Angustifolia Extract(1), Lavandula Angustifolia (Lavender) Flower/Leaf/Stem Extract(1), Leucojum Aestivum Bulb Extract, Spirulina Maxima Extract(1), Butyrospermum Parkii (Shea Butter)(1), Borago Officinalis Seed Oil(1), Cinnamomum Camphora (Camphor) Bark, Citrus Aurantium Bergamia (Bergamot) Fruit Oil, Citrus Nobilis (Mandarin Orange) Peel Oil, Citrus Reticulata (Tangerine) Leaf Oil, Cocos Nucifera (Coconut) Oil(1), Lavandula Angustifolia (Lavender) Oil, Olea Europaea (Olive) Fruit Oil(1), Prunus Amygdalus Dulcis (Sweet Almond) Oil(1), Persea Gratissima (Avocado) Oil(1), Rosa Canina Fruit Oil(1), Bisabolol, Caprylic/Capric Triglyceride, Cetyl Alcohol, Potassium Hydroxide, Ribose, Sodium Hyaluronate, Sodium Stearoyl Glutamate, Stearyl Alcohol, Tocopheryl Acetate, Ubiquinone(2), Xanthan Gum, Alcohol(1), Benzyl Alcohol, Potassium Sorbate, Sodium Benzoate, Citral, Limonene, Linalool. • Weightless Nourishing Baby Lotion: Nourish your baby's delicate skin with easily absorbed moisture from natural plant oils. This weightless lotion, enriched with Aloe, Cocoa Butter and Sunflower oil, helps protect against dryness and maintains a healthy moisture balance so baby's skin is soft, supple and never greasy. 8 oz. ORDER NOW! Ingredients: Aloe Barbadensis Leaf Juice(1), Aqua (Water), Helianthus Annuus (Sunflower) Seed Oil(1), Glyceryl Stearate, Glycerin, Stearyl Alcohol, Cetyl Alcohol, Linum Usitatissimum (Linseed) Seed Oil(1), Simmondsia Chinensis (Jojoba) Seed Oil(1), Theobroma Cacao (Cocoa) Seed Butter(1), Arnica Montana Flower Extract(1), Avena Sativa (Oat) Bran(1), Calendula Officinalis Flower Extract(1), Camellia Sinensis Leaf Extract(1), Chamomilla Recutita (Matricaria) Flower Extract(1), Lavandula Angustifolia (Lavender) Flower Extract(1), Algin, Beeswax(1), Beta-Glucan(1), Citric Acid, Glyceryl Stearate Citrate, Tocopheryl Acetate, Xanthan Gum, Alcohol(1), Potassium Sorbate, Sodium Benzoate. Lavender Luminosity, 7 oz. | Vitamin C Renewal, 4 oz. BODY LOTION: CoQ10 Repair Repair Ultimate Firming Boy Lotion, 8 oz. BODY LOTION: Baby Weightless Nourishing Lotion, 6 oz. Very Emollient Body Lotion Original:This lightweight lotion is a skin softening favorite filled with rich, botanical emollients that deliver 100% daily moisturization. A blend of Aloe Vera, Green Tea and Chamomile extracts, plus a hearty dose of antioxidants nurture and replenish skin on contact. Richly hydrating and hypo-allergenic, it absorbs fast, with no greasy residue. Your skin will thank you. For normal to dry skin. Hypo-allergenic. Perfect for use during massage. It's the perfect all-over body treatment. • Very Emollient Body Lotion Original:12 oz.ORDER TODAY! • Very Emollient Body Lotion Unscented Original:If your skin is normal to dry or sensitive skin, this unscented, hypo-allergenic formula is your clinically tested moisture solution. Packed with our exclusive botanical blend of Aloe Vera, Green Tea and Chamomile extracts, plus a nourishing dose of antioxidants, the original formula is clinically shown to deliver 100% daily hydration. Richly moisturizing it absorbs fast, with no greasy residue. Hypo-allergenic. Perfect for use during massage. It's the perfect all-over body treatment. • Very Emollient Body Lotion Maximum: Dry skin tends to develop into an itchy and flakey, it's time for maximum undertaking.This penetrating body lotion is packed with our exclusive combination of Aloe Vera, Green Tea and Chamomile extracts, plus a vigorous dose of antioxidants and alpha hydroxy acids. So effective, it's clinically shown to deliver 24 hours of hydration and lotion lovers affirm it relieves dry skin immediately. Your dry skin despair will vanish, flakes will disappear and tightness will be changed to smooth softness. For severely dry skin. Richly moisturizing it absorbs fast, with no greasy residue. Hypo-allergenic. Perfect for use during massage. • Very Emollient Body Lotion Daily Shade SPF 15: This lightweight lotion, packed with rich botanical emollients, delivers daily broad spectrum sunscreen protection and super hydration so your skin remains soft. A combination of Aloe Vera, Green Tea and Chamomile extracts, plus a large dose of antioxidants and alpha hydroxy acids, nourish and recondition skin on contact while boosting skin revitalization. Richly hydrating and hypo-allergenic, this unseen body guard absorbs so quickly you'll forget it's there. Everyday sunscreen protection for normal to dry skin. Hypo-allergenic. Perfect use for massage. • Very Emollient Body Lotion Coconut Rescue: This rich, creamy Very Emollient Body Lotion Coconut Rescue is made with virgin, unrefined Coconut oil, Coconut milk and Aloe Vera to instantly deliver potent moisture relief, a hearty dose of antioxidants and a boost of caffeine-fueled revitalization. Deeply moisturizing and hypo-allergenic, it's precisely the recovery your skin needs. Virgin Coconut oil offers instant relief for extremely dry, irritable skin. Hypo-allergenic. 32 oz. ORDER NOW! Active Oil, Cocos Nucifera (Coconut) Oil, Hydrogenated Castor Oil, Ricinus Communis (Castor) Seed Oil, Camellia Sinensis Leaf Extract, Chamomilla Recutita (Matricaria) Flower Extract, Prunus Armeniaca (Apricot) Fruit Extract, Aloe Barbadensis Leaf Juice, Alcohol, Beeswax, Caffeine, Caprylic/Capric Triglyceride, Cocos Nucifera (Coconut) Fruit Juice, Copernicia Cerifera (Carnauba) Wax, Dextrose, Maltodextrin, Xanthan Gum, Vanillin, Benzyl Alcohol, Potassium Sorbate, Sodium Benzoate. Very Emollient Body Lotion Coconut Rescue, 32 oz. BODY LOTION: Very Emollient Body Lotion, Maximum 32 oz. Coconut Oil Lotion for Face & Body: Organic Fiji's nourishing lotion with Certified Organic Virgin Coconut Oil is a blend of plant extracts and essential oils that help to soothe and moisturize your skin. There is nothing better than using a lotion with Cold Pressed Coconut oil to massage the affected area. Not only will it restore the skin's elasticity, but it also provides important antioxidants to fight free-radical damage. Coconut Oil Body Lotion Pineapple Coconut: Allow the natural, tropical aroma of Pineapple and Coconut awaken your island spirit. • Coconut Oil Body Lotion Pineapple Coconut: 3 oz. ORDER NOW! • Coconut Oil Body Lotion Cucumber Melon: Let the fresh touch of Cucumber Melon refresh and calm your skin. 12 oz. ORDER NOW! Coconut Oil Body Lotion Fragrance Free: Fragrance Free is for sensitive skin and for those who wish to enjoy the natural purity of coconut oil. • Coconut Oil Body Lotion Fragrance Free: 2 oz. ORDER NOW! • Coconut Oil Body Lotion Fragrance Free: 12 oz. ORDER NOW! • Coconut Oil Body Lotion Awapuhi Seaberry: Let the blend of Awapuhi and Seaberry transport you away upon an exotic tropical breeze. 12 oz. ORDER NOW! Pineapple Coconut 3 oz. | Fragrance Free 2 oz. • Body Lotion Calendula Baby: The creamy soft, extremely mild Calendula Baby Body Lotion is for the head-to-toe care of your baby. It spreads easily, and absorbs quickly. Especially after the daily bath, its application gives your little one an extra serving of warming, protective care. The especially mild moisturizers penetrate quickly to support the natural equilibrium of the skin and protect it from drying. Helps protect tender baby skin with calendula extract, jojoba and almond oil. 6.8 oz. Germany. ORDER TODAY! Ingredients: Aqua (Water), Prunus dulcis (Sweet Almond Oil), Glyceryl Citrate/Lactate/Linolcate/Olcate, Theobroma Cacao (Cocoa Butter), Sorbitan Stearate, Buxus Chinesis (Jojoba Oil), Butyrospermum Parkii (Shea Butter), Glycerin, Calendula Officinalis (Calendula Extract), Sucrose Cocoate, Sodium Lactate, Galactoarabinan, Xanthan Gum, Parfum (Fragrance), Lactic Acid,Tocopherol. • Body Lotion FREE Hypo Allergenic: Maintains a more supple texture to your skin and produces a healthy-looking appearance. Finest botanical ingredients, such as sweet Almond oil, Jojoba, Shea Butter and Burdock seed oil, nourish and protect the skin and help neutralize its oil and moisture levels. The balanced pH value strengthens the acid mantle, fortifying the skin's combat to negative environmental elements. 6.8 oz. Germany. ORDER TODAY! Ingredients: Aqua (Water), Prunus Amygdalus Dulcis (Sweet Almond) Oil, Glycerin, Alcohol denat., Simmondsia Chinensis (Jojoba) Seed Oil, Cetearyl Alcohol, Arctium Lappa Seed Oil, Cera Alba (Beeswax), Butyrospermum Parkii (Shea Butter), Hydrogenated Lecithin, Xanthan Gum, Sodium Lactate, Lactic Acid, Tocopherol. • Body Lotion Daily Care Organic (Aloe & Verbena): Light, quickly penetrating moisturizer, rich in Aloe Vera, Jojoba and Shea Butter. Perfect for daily use. Free of synthetic preservatives, colors, and fragrances. 6.8 oz. ORDER NOW! Ingredients: Aqua (Water), Alcohol, Glycine Soja (Soybean) Oil, Elaeis Guineensis (Palm) Oil, Aloe Barbadensis Leaf Juice, Glycerin, Glyceryl Oleate Citrate, Simmondsia Chinensis (Jojoba) Seed Oil, Butyrospermum Parkii (Shea Butter), Caprylic Capric Triglyceride, Xanthan Gum, Verbena Officinalis, Calendula Officinalis Flower Extract, Parfum (Essential Oils), PCA Ethyl Cocoyl Arginate, Sodium Lactate, Lactic Acid, Tocopherol, Limonene, Linalool, Citral, Geraniol, Citronellol. • Body Lotion MANN: Fragranced with the spicy, masculine notes of fine woods. The enriched blend of natural ingredients, including Cupuacu Butter and Tigernut oil, conditions, protects and hydrates your skin. For a well-presented look, first thing in the morning! 6.8 oz. Germany. ORDER TODAY! Ingredients: Aqua (Water), Glycine Soja (Soybean) Oil, Alcohol denat., Cocos Nucifera (Coconut) Oil, Polyglyceryl-3 Dicitrate/Stearate, Butyrospermum Parkii (Shea) Butter, Glycerin, Isoamyl Laurate, Cetearyl Alcohol, Sorbitol, Cyperus Esculentus Root Oil, Xanthan Gum, Theobroma Grandiflorum Seed Butter, Sodium Lactate, Ginkgo Biloba Leaf Extract, Caffeine, Lactic Acid, Tocopherol, Sodium Hyaluronate, Helianthus Annuus (Sunflower) Seed Oil, Parfum (Essential Oils), Limonene, Linalool, Citral. BODY LOTION: FREE Hypo Allergenic Body Lotion, 6.8 oz. BODY LOTION: Body Lotion, Daily Care 6.8 oz. • Hand & Body Lotion Sweet Lavender: Moisturizes, softens, and protects your skin - the perfect all-over body treatment for youthful skin. Natures rich emollients shea butter, jojoba, and kukui nut oil combined with aloe vera smooth and replenish. This special, botanical formula features pure premium aroma-therapeutic Sweet Lavender essential oil for supple, rejuvenated skin - the ultimate in natural skin care. For soft, smooth hands, use often - especially after washing. 16 oz. ORDER NOW! Ingredients: Purified Water, Glycerin, Helianthus Annuus (Sunflower) Oil, Glyceryl Stearate, Cetyl Alcohol, Stearyl Alcohol, Carthamus Tinctorius (Safflower) Seed Oil, Aloe Barbadensis (Aloe Vera) Leaf Juice, Stearic Acid, Allantoin, Panthenol, Sodium Pca, Calendula Officinalis (Calendula) Extract, Lavandula Angustifolia (Lavender) Extract, Rosa Damascena (Rose) Extract, Citrus Aurantium (Orange) Blossom Extract, Anthemis Nobilis (Chamomile) Extract, Ascorbic Acid, Simmondsia Chinensis (Jojoba) Oil, Butyrospermum Parkii (Shea) Butter, Linumusitatissimum (Flax) Seed Oil, Prunus Amygdalus (Sweet Almond) Oil, Tocopherol, Arnica Montana (Arnica) Extract, Magnesium Ascorbyl Phosphate, Soy Lecithin, Phenoxyethanol, Ethyl Hexyl Glycerin, Aleurites Moluccana (Kukui) Nut Oil, Benzyl Alcohol, Lavandula Hybrida (Lavandin) Oil. • Body Lotion Extra Rich Fragrance Free: This lotion intensely hydrates, reconditions, and provides extra protection for your skin - the perfect all-over body treatment to balance sun damage and extreme dryness. Combined with Shea Butter, Jojoba, and Tamanu with effective, natural humectants and anti-oxidants to relax, nurture and replenish your skin. This botanical formula is blended with Arnica and Calendula - the ultimate in natural skin care. 16 oz. ORDER NOW! Ingredients: Purified Water, Aloe Barbadensis (Aloe Vera) Leaf Juiceorganic, Helianthus Annuus (Sunflower) Oilorganic, Vegetable Glycerin, Capric Caprylic Triglycerides, Glyceryl Stearate Citrate, Cetyl Alcohol, Tocopherol Acetate, Rosa Canina (Rose Hip) Oilorganic, Simmondsia Chinensis (Jojoba) Oilorganic, Lavandula Angustifolia (Lavender) Hydrosolorganic, Butyrospermum Parkii (Shea) Butterorganic, Arnica Montana (Arnica) Extractorganic, Olea Europaea (Olive) Oil, Panthenol, Allantoin, Tocopherols, Magnesium Ascorbyl Phosphate, Anthemis Nobilis (Chamomile) Extractorganic, Calendula Officinalis (Calendula) Extractorganic, Camellia Sinensis (Green Tea) Extract, Retinyl Palmitate, Calophyllum Inophyllum (tamanu) Oil, Phenoxyethanol, ethyl hexyl glycerin. • Hand & Body Lotion Fragrance Free: This lotion hydrates, softens, and protects your skin - the perfect all-over body treatment. Made with Shea Butter, Jojoba, and Kukui Nnut oil and organic Aloe Vera relax and retain moisture to keep your skin youthful. This botanical formula is blended with Arnica and Calendula for soft and smooth hands. 16 oz. ORDER NOW! Ingredients: Purified Water, Glycerin, Helianthus Annuus (Sunflower) Oilorganic, Glyceryl Stearate, Cetyl Alcohol, Stearyl Alcohol, Carthamus Tinctorius (Safflower) Seed Oil, Aloe Barbadensis (Aloe Vera) Leaf Juice, Stearic Acid, Allantoin, Panthenol, Sodium PCA, Calendula Officinalis (Calendula) Extract, Lavandula Angustifolia (Lavender) Extract, Rosa Damascena (Rose) Extract, Citrus Aurantium (Orange) Blossom Extract, Anthemis Nobilis (Chamomile) Extract, Arnica Montana (Arnica) Extract, Ascorbic Acid, Simmondsia Chinensis (Jojoba) Oil, Butyrospermum Parkii (Shea) Butter, Linum Usitatissimum (Flax) Seed Oilorganic, Prunus Dulcis (Sweet Almond) Oilorganic, Tocopherol, Retinyl Palmitate, Magnesium Ascorbyl Phosphate, Soy Lecithin, Phenoxyethanol, ethyl hexyl glycerin, Aleurites Moluccana (Kukui Nut) Oil, Benzyl Alcohol. • Hand & Body Lotion Vitamin C CoQ10: Helps moisturize, condition, and protect for soft, smooth, youthful-looking skin. Active Vitamin C and CoQ10 combined with additional anti-oxidants help neutralize sun and environmental damage for healthy, revitalized skin. Powerful humectants replenish your skin with needed moisture. Vital botanicals nurture and condition, while rich emollients soothe and protect. pH balanced. Benefits all skin types. For maximum moisturizing benefits, use after bath or shower. For soft, smooth hands, use often, especially after washing. 8.5 oz. ORDER TODAY! Ingredients: Certified organic aloe vera gel, botanical infusion (chamomile, calendula, lavender, orange blossom), certified organic lavender hydrosol, vegetable glycerin, certified organic sunflower oil, certified organic shea butter, cetyl alcohol (from coconut oil), stearic acid (from coconut oil), certified organic rosehip seed oil (rosa rubiginosa), certified organic jojoba oil, sodium pca (natural moisturizer), vitamin C (magnesium ascorbyl phosphate), Co-enzyme Q10, green tea extract, organic tomanu oil (calophyllum inophyllum), sorbitol, panthenol (pro-vitamin B-5), allantoin, vitamin E (natural d-tocopherol), vitamin A (retinyl palmitate), organic aroma-therapeutic essential oils of Lavender, Ylang Ylang, and Palmarosa, methyl/propyl paraben, sea kelp extract. • AHA Renewal Moisture Lotion: Renewal Moisture Lotion with 8% Alpha Hydroxy Complex helps recondition your skin's texture and feel while restoring its ability to retain moisture. Combines with Shea Butter, Kukui Oil, and organic aroma-therapeutic essential oils to keep your skin toned, supple and relaxed. Anti-oxidant vitamins B and E, plus Green Tea extract protect the skin from environmental damage for maximum skin renewal and anti-aging benefits. 4 oz. ORDER TODAY! Ingredients: Botanical infusion (lavender, meadowsweet, calendula, honeysuckle, and chamomile), organic shea butter, vegetable glycerin, glyceryl stearate, sorbitol (natural moisturizer), stearic acid (from coconut oil), organic safflower oil, alpha hydroxy acid complex (glycolic, citric acid, lactic acid, malic acid), kukui nut oil, avacado oil, sesame oil, certified organic rose hip seed oil (rosa rubiginosa), oat protin, sodium pca (natural moisturizer), panthenol (vitamin B factor), allantoin, green tea extract, organic aroma therapeutic essential oils of Ylang Ylang Extra, Geranium Rose, German Chamomile, and Roman Chamomile, vitamin A (retinyl palmitate), vitamin C (magnesium ascorbyl phosphate), vitamin E (natrual d-alpha tocopherol),phynoxyethanol, benzyl alcohol, potassium sorbate, citric acid (from citrusfruit). • Facial Lotion Vitamin C CoQ10 SPF17: protects, hydrates and restores your skin. Active anti-oxidants vitamin C and CoQ10 neutralize environmental damage and promote youthful-looking skin. Nature's own organic aloe vera, shea butter, rosa rubiginosa condition, smooth, and rejuvenate. Safe, chemical free sun protection helps prevent wrnkles and age spots by protecting your skin from both UVA and UVB sun rays. Fragrance free. 4 oz. ORDER TODAY! Ingredients: Active Ingredients: titanium dioxide. Ingredients: Organic botanical infusion (calendula, lavender, chamomile), certified organic lavender hydrosol, organic jojoba oil, organic aloe vera gel, vegetable glycerin, capric caprylic triglycerides (from coconut oil), organic shea butter, glyceryl stearate (from coconut oil), organic shea butter, glyceryl stearate (from coconut oil), green tea extract, organic cucmber extract, sorbitan stearate, avocado oil, certified organic rose hip seed oil (rosa rubiginosa), vitamin C (magnesium ascorbyl phosphate), Co-enzyme Q10, organic tamanu oil (calophyllum inophullum), panthenol (vitamin B factor), allantoin (skin-healing), vitamin A (retinyl palmitate), vitamin E (natural d-alpha tocopherol), phenoxyethanol, benzyl alcohol, potassium sorbate, citric acid (from citrus fruit). • Daily SPF15 Facial Lotion: Daily Facial Lotion SPF-15 is made with Aloe Vera, Rosehips and Shea Butter hydrate, replenish and soften skin. Perfect under makeup, alone or with your regular moisturizer. Helps prevent sunburn. Benefits all skin types. Fragrance free. 8 oz. ORDER TODAY! Ingredients: Purified Water, Glycerin Helianthus Annuus (Sunflower) Seed OilOrganic, Aloe Barbadensis Leaf JuiceOrganic, Glyceryl Stearate, Ethyl Hexyl Palmitate, Stearic Acid, Glyceryl Monolaurate, Magnesium Ascorbyl Phosphate, Cetearyl Alcohol, Tocopherol Acetate, Tocopherols, Butyrospermum Parkii (Shea) Butter, Macrocystis Pyrifera (Kelp) Extract, SqualaneVegetable Source, Allantoin, Panthenol, Anthemis Nobilis (Chamomile) ExtractOrganic, Calendula Officinalis (Calendula) ExtractOrganic, Hyaluronic Acid, Sodium Carbomer, Lavandula Angustifolia (Lavender) ExtractOrganic, Arnica Montana (Arnica) ExtractOrganic, Camellia Sinensis (White Tea) ExtractOrganic, Rosa Canina (Rose Hip) OilOrganic, Linum Usitatissimum (Flax) Seed OilOrganic, Borago Officinalis (Borage) Seed OilOrganic, Lecithin, Cocos Nucifera (Coconut) Oil, Phenoxyethanol, Ethyl Hexyl Glycerin. BODY LOTION: Hand & Body Lotion Sweet Lavender, 16 oz. Vitamin C CoQ10 Hand & Body Lotion, 8.5 oz. Daily SPF15 Facial Lotion, 4 oz. BODY LOTION: Vitamin C CoQ10 Facial Lotion SPF17, 4.72 oz. AHA Renewal Moisture Lotion, 4 oz. • Face Lotion Antioxidant Natural Sunscreen SPF 30 Oil-Free: Antioxidant Natural Sunscreen SPF 30 Oil-Free Face Lotion helps shield skin from harmful UVA/UVB rays, oxidative damage and premature signs of aging. With Zinc Oxide, this formula delivers safe, chemical-free broad spectrum UVA/UVB protection without irritating skin or clogging pores. Invigorated with antioxidants Vitamin C and Green Tea help skin recover after sun exposure and fight and reduce the signs of aging for vibrant, younger-looking skin. Perfect for daily use alone or under makeup, this formula glides on evenly, absorbs instantly and leaves a pure, lightweight, non-greasy finish. Hypoallergenic, non-irritating, sensitivity tested, fragrance-free, paraben-free, gluten-free, GMO-free and 100% vegan. 12 oz. ORDER TODAY! Active Ingredient: Zinc Oxide 16%.Inactive Ingredients: Purified Water (Aqua), Capric/Caprylic Triglyceride, Propanediol, Glycerin, Methylcellulose, Glyceryl Stearate, Cetyl Alcohol, Organic Camellia Sinensis (Green Tea) Leaf Extract (1%), Sodium Ascorbyl Phosphate (Vitamin C, Stay-C® 50), Decyl Glucoside, Xanthan Gum, Potassium Cetyl Phosphate, Glyceryl Stearate Citrate, Phenoxyethanol, Ethylhexylglycerin. • Body Lotion Antioxidant Natural Sunscreen SPF 30: Antioxidant Natural Sunscreen SPF 30 Body Lotion helps shield skin from harmful UVA/UVB rays, oxidative damage and premature signs of aging. With Zinc Oxide, this formula provides safe, chemical-free broad spectrum UVA/UVB protection without irritating skin or clogging pores. Reinvigorated with antioxidants Vitamin C and Green Tea to help skin recover after sun exposure and fight and reduce the signs of aging for vibrant, younger-looking skin. Suitable for daily use, this formula glides on evenly, absorbs quickly and leaves a sheer, lightweight finish. Hypoallergenic, non-irritating, sensitivity tested, fragrance-free, paraben-free, gluten-free, GMO-free and 100% vegan. 12 oz. ORDER TODAY! Active Ingredient: Zinc Oxide 16%. Inactive Ingredients: Purified Water (Aqua), Capric/Caprylic Triglyceride, Propanediol, Glycerin, Methylcellulose, Glyceryl Stearate, Cetyl Alcohol, Organic Camellia Sinensis (Green Tea) Leaf Extract (1%), Sodium Ascorbyl Phosphate (Vitamin C, Stay-C® 50), Tocopheryl Acetate (Vitamin E), Carthamus Tinctorius (Safflower) Seed Oil, Xanthan Gum, Potassium Cetyl Phosphate, Glyceryl Stearate Citrate, Decyl Glucoside, Phenoxyethanol, Ethylhexylglycerin. • Intensive Therapy Body Lotion Vitamin E Fragrance-Free: Intensely soften, smooth and condition dry, rough, flaky skin with this naturally therapeutic body moisturizer. Full-spectrum Vitamin E helps recondition and maintain skin's natural barrier function, helping it retain moisture and defend itself against elemental stress. Blended with Cranberry Seed and Red Palm Oil offers more complete Vitamin E moisture, nurture and antioxidant defense against environmental elements. Lightweight for daily use, this non-greasy formula absorbs instantly to deeply hydrate and invigorate for healthier, nurture skin. 8 oz. ORDER TODAY! Ingredients: Water (Aqua), Carthamus Tinctorius (Safflower) Seed Oil, Glycerin, Glyceryl Stearate Citrate, Cetyl Alcohol, Stearic Acid, Glyceryl Stearate, Glyceryl Stearate SE, Allantoin, Panthenol, Cetearyl Glucoside, Tocopheryl Acetate (Vitamin E), Vaccinium Macrocarpon (Cranberry) Seed Oil, Organic Olea Europaea (Olive) Fruit Oil(.1%), Organic Simmondsia Chinensis (Jojoba) Seed Oil (.1%), Organic Camellia Sinensis (Green Tea) Leaf Extract (.1%), Sodium Hyaluronate (Hyaluronic Acid; Actimoist® Bio-1), Organic Aloe Barbadensis Leaf Extract (.1%), Elaeis Guineensis (Red Palm) Oil, Potassium Sorbate, Phenoxyethanol, Ethylhexylglycerin. • Itch Relief Lotion: Blended with Tea Tree, Vitamin E, and Chamomile's help relieve skin irritation, chafing, cuts and scrapes. Delivers quick soothing comfort to dry, itchy, and/or irritated skin caused by dryness, rashes, bacterial and fungal issues, dermatitis and/or skin overexposed to the sun. This formula deeply penetrates to nurture, calm and hydrate dry, itchy, irritated skin without cortisone or other steroids. Ideal for those who are looking for the natural alternative to over-the-counter anti-itch creams. 6 oz. ORDER TODAY! Ingredients: Water (Aqua), Melaleuca Alternifolia (Tea Tree) Leaf Oil, Glycerin, Carthamus Tinctorius (Safflower) Seed Oil, Glycine Soja (Soybean) Oil, Stearic Acid, Glyceryl Stearate, Dimethicone, Cetyl Alcohol, Panthenol, Tocopheryl Acetate (Vitamin E), Sesamum Indicum (Sesame) Seed Oil, Retinyl Palmitate (Vitamin A), Helianthus Annuus (Sunflower) Seed Oil, Organic Chamomilla Recutita (Matricaria) Flower Extract (.1%), Carbomer, Phenoxyethanol, Ethylhexylglycerin . BODY LOTION: Antioxidant Natural Sunscreen SPF 30, 12 oz. BODY LOTION: Itch Relief Lotion, 6 oz. BODY LOTION: Intensive Therapy Body Lotion Vitamin E Fragrance-Free, 8 oz. • Daily Body Lotion Lavender Blend: Supplemented with natural moisturizers, extracts and pure essential oils including: Calming organic Lavender oil, sensual enriching Ylang-Ylang, and blissful zesty Bergamot. Made with richly hydrating organic Shea Butter and antioxidant Balm Mint extract. Free from parabens and synthetic fragrances. 6.6 oz. ORDER NOW! Ingredients: Aqua (water), C12-15 Alkyl Benzoate, Glycerin, Cetearyl Alcohol, Cyclopentasiloxane, Prunus Amygdalus Dulcis (Sweet Almond) Seed Oil, Caprylic/Capric Triglycerides, Glyceryl Stearate, PEG-100 Stearate, Lavandula Angustifolia (Lavender) Oil, Polysorbate 60, Phenoxyethanol, Butyrospermum Parkii (Shea Butter), Sodium Benzoate, Theobroma Cacao (Cocoa) Seed Butter, Disodium EDTA, Xanthan Gum, Dimethiconol, Aloe Barbadensis (Aloe Vera) Leaf Juice Powder, Citric Acid, Melissa Officinalis (Melissa) Leaf Extract, Rosa Damascena (Rose) Flower Oil, Cananga Odorata (Ylang-Ylang) Flower Oil, Citrus Aurantium Bergamia (Bergamot) Leaf Oil, Tanacetum Vulgare (Tansy) Extract, Citronellol, Limonene, Linalool. • Daily Body Lotion Rose Blend: An enriching scented body lotion full of floral and citrus notes provides a conditioning and nurturing treatment to the skin with a non-greasy yet silken finish. Combined with soothing floral Rose, balancing fresh Rose Geranium, and toning citrus Lemon Leaf. Made with luxuriant hydrating organic Shea Butter and antioxidant organic White Lily extract to soften and pamper the skin. 6.6 oz. ORDER NOW! Ingredients: Aqua (Water), C12-15 Alkyl Benzoate, Glycerin, Cetearyl Alcohol, Cyclopentasiloxane, Prunus Amygdalus Dulcis (Sweet Almond) Seed Oil, Caprylic / Capric Triglycerides, PEG-100 Stearate, Glyceryl Stearate, Polysorbate 60, Phenoxyethanol Pelargonium Graveolens (Geranium) Flower Oil, Butyrospermum Parkii (Shea Butter), Sodium Benzoate, Theobroma Cacao (Cocoa) Seed Butter Pogostemon Cablin (Patchouli) Oil, Citrus Aurantium Bergamia (Bergamot) Fruit Oil, Xanthan Gum, Disodium EDTA, Cymbopogon Martinii (Palmarosa) Oil, Piper Nigrum (Black Pepper) Oil, Citrus Aurantium Dulcis (Orange) Peel Oil, Cananga Odorata (Ylang Ylang) Flower Oil, Vetiveria Zizanoides (Vetiver) Root Oil, Dimethiconol, Citric Acid, Citrus Grandis (Grapefruit) Peel Oil, Citrus Limon (Lemon) Leaf Oil, Rosa Damascena (Rose) Flower Oil, Lilium Candidum (White Lily) Flower Extract, Citric Acid, Potassium Sorbate, Benzyl Benzoate, Benzyl Salicylate, Citral, Citronellol, Farnesol, Geraniol, Limonene, Linalool. BODY LOTION: Body Lotion, 6.7 oz. Velvet Body Lotion nourishes restores and protects all skin types from dry to very dry, including the most sensitive. This non-greasy, remarkably natural care penetrates instantly to wrap the body in a light protective film. Velvet Body Lotion helps to bring freshness and delicate fragrance to the skin. This highly nutritive blend retains the natural hydration and elasticity of the skin. • Velvet Body Lotion Verbena & Lemon: Lemon Verbena Essential Oil helps tone skin and the fresh, clean fragrance stimulates and rejuvenates the senses. 7 oz. ORDER TODAY! Ingredients: Aloe Barbadensis Leaf Juice, Aqua, Caprylic/Capric Triglyceride, Butyrospermum Parkii (Shea Butter), Glycerin, Cetyl Palmitate, Sucrose Stearate, Natural Fragrance (mix of Botanical Extracts & Essential Oils), Glyceryl Stearate^, Acacia Senegal Gum, Xanthan Gum, Moringa Pterygosperma Seed Oil, Hippophae Rhamnoides (Seabuckthorn) Oil, Plukenetia Volubilis Seed Oil, Sodium Stearoyl Glutamate, Citric Acid, Sodium Benzoate, Potassium Sorbate, Benzyl Alcohol, Glycine Soja (Soybean) Oil, Lavandula Angustifolia (Lavender) Flower/Leaf/Stem Extract, Plumeria Rubra Flower Extract, Jasminum Officinale (Jasmine) Flower/Leaf Extract, Vanilla Planifolia Fruit Extract, Fucus Vesiculosus Extract, Rose Extract, Citrus Aurantium Bergamia (Bergamot) Fruit Extract, Coriandrum Sativum (Coriander) Seed Extract, Cupressus Sempervirens Seed Extract, Rosmarinus Officinals (Rosemary) Leaf Extract. • Velvet Body Lotion Mandarin: Helps increase circulation to the skin, reducing fluid retention and prevent stretch marks. 7 oz. ORDER TODAY! Ingredients: Aloe Barbadensis Leaf Juice, Aqua, Caprylic/Capric Triglyceride, Butyrospermum Parkii (Shea Butter), Glycerin, Cetyl Palmitate, Citrus Nobilis (Mandarin Orange) Peel Oil, Sucrose Stearate, Glyceryl Stearate, Acacia Senegal Gumt, Moringa Pterygosperma Seed Oil, Plukenetia Volubilis Seed Oil, Hippophae Rhamoides (Sea Buckthorn) Fruit Oil, Tocopherol, Xanthan Gum Citric Acid, Sodium Benzoate, Potassium Sorbate, Benzyl Alcohol, Glycine Soja (Soybean) Oil, Lavandula Angustifolia (Lavender) Flower/Leaf/Stem Extract, Aniba Rosaeodra (Rosewood) Wood Extract, Purunus Persica (Peach) Fruit Extract, Camellia Sinensis Leaf Extract, Plumeria Rubra Flower Extract, Jasminum Officinale (Jasmine) Flower/Leaf Extract, Vanilla Planifolia Fruit Extract, Fucus Vesiculosus Extract, Rose Extract, Citrus Auranitum Bergamis (Bergamot) Fruit Extract, Coriandrum Sativum (Coriander) Seed Extract, Cupressus Semperviens Seed Extract, Rosmainus Officinalis (Rosemary) Leaf Extract..
• Velvet Body Lotion Ho Wood & Verbena: Helps maintain skin free of impurities throughout the day. Has a refreshing scent and helps skin hydrate deeply, providing optimal moisture it needs. 7 oz. ORDER TODAY! Ingredients: Aloe Barbadensis Leaf Juice, Aqua, Caprylic/Capric Triglyceride, Butyrospermum Parkii (Shea Butter), Glycerin, Cetyl Palmate, Sucrose Stearate, Natural Fragrance (mix of Botanical Extracts & Essential Oils), Glyceryl Stearate, Acacia Senegal Gum, Xanthan Gum, Moringa Pterygosperma Seed Oil, Hippophae Rhamnoides (Seabuckthorn) Oil, Plukenetia Volubilis Seed Oil, Sodium Stearoyl Glutamate, Citric Acid, Sodium Benzoate, Potassium Sorbate, Benzyl Alcohol, Glycine Soja (Soybean) Oil, Lavandula Angustifolia (Lavender) Flower/Leaf/Stem Extract, Aniba Rosaeodora (Rosewood) Wood Extract, Prunus Persica (Peach) Fruit Extract, Camellia Sinensis Leaf Extract, Plumeria Rubra Flower Extract, Jasminum Officinale (Jasmine) Flower/Leaf Extract, Vanilla Planifolia Fruit Extract, Fucus Vesiculosus Extract, Rose Extract, Citrus Aurantium Bergamia (Bergamot) Fruit Extract, Coriandrum Sativum (Coriander) Seed Extract, Cupressus Sempervirens Seed Extract, Rosmarinus Officinalis (Rosemary) Leaf Extract. • Velvet Body Lotion Lavender: Helps deliver advanced moisture relief and vital nurturing to extra dry skin.7 oz. ORDER TODAY! Ingredients: Organic Cocos Nucifera (Coconut) Butter, Garcinia Indica (Kokum) Seed Butter, Astrocaryum (Murumuru) Seed Butter, Shorea Robusta (Sal) Butter, Organic Helianthus Annuus (Sunflower) Seed Oil, Organic Cocos Nucifera (Coconut) Oil, Helianthus Annuus (Sunflower) Seed Wax, Organic Cannabis Staya (Hemp) Seed Oil, Oryza Sativa (Rice) Bran Wax, Organic Persea Gratissima (Avocado) Oil, D-Alpha Tocopherols (Vitamin E), Organic Borago Officinalis (Borage) Seed Oil, Organic Cucurbita Pepo (Pumpkin) Seed Oil, Hippophae Rhamnoides (Seabuckthorn) Oil, Ascorbyl Palmitate (Vitamin C) & Linum Usitatissimum (Flax Seed) Oil. *This statement has not been evaluated by the Food and Drug Administration. This product is not intended to diagnose, treat, cure, or prevent any disease. BODY LOTION: Velvet Body Lotion, 7 oz. Hand & Body Lotion offers deep moisture and improves skin texture. Leaves skin smooth, nurtured and restored. Absorbs fast, and perfect for dry sensitive skin. Ingredients: Purified Water, Aloe Barbadensis Leaf Juice, Capric Caprylic Triglycerides, Helianthus Annuus Seed Oil (Sunflower), Stearic Acid, Isopropyl Myristate, Polysorbate-60, Cetearyl Alcohol, Glyceryl Stearate, Dimethicone, Glycerin, Persea Gratissima Oil (Avocado), Olea Europaea Oil (Olive), Tocopherol Acetate, Vitis Vinifera Seed Extract (Grape), Oat Beta-Glucan, Hyaluronic Acid, Anthemis Nobilis Flower Extract, Arnica Montana Flower Extract, Lavandula Angustifolia Flower/Leaf/Stem Extract (Lavender), Camellia Sinensis Leaf Extract, Xanthane Gum, Sodium Alginate, Phenoxyethanol, Ethyl Hexyl Glycerin, Fragrance, Essential Oils. Ingredients: Purified Water, Aloe Barbadensis Leaf Juice, Capric Caprylic Triglycerides, Helianthus Annuus Seed Oil (Sunflower), Stearic Acid, Isopropyl Myristate, Polysorbate-60, Cetearyl Alcohol, Glyceryl Stearate, Dimethicone, Glycerin, Persea Gratissima Oil (Avocado), Olea Europaea Oil (Olive), Tocopherol Acetate, Vitis Vinifera Seed Extract (Grape), Oat Beta-Glucan, Hyaluronic Acid, Hydrolyzed Milk Protein, Honey, Anthemis Nobilis Flower Extract, Arnica Montana Flower Extract, Lavandula Angustifolia Flower/Leaf/Stem Extract (Lavender), Camellia Sinensis Leaf Extract, Xanthane Gum, Sodium Alginate, Phenoxyethanol, Ethyl Hexyl Glycerin, Fragrance, Essential Oils. BODY LOTION: Hand & Body Lotion, 9 oz. Richly Replenishing Cocoa Cupuacu Butters Body Lotion: Dermatologist-tested rich Cocoa and Cupuaçu Butters is made with botanical moisturizers like Sunflower and Olive Oils to treat dry skin. Clinically proven to make your skin feel soft, smooth and super healthy for up to 24 hours. This non-greasy natural body lotion absorbs quickly. • Richly Replenishing Cocoa Cupuacu Butters Body Lotion: 6 oz. ORDER NOW! • Richly Replenishing Cocoa Cupuacu Butters Body Lotion: 12 oz. ORDER NOW! Ingredients: Aqua (Water, Eau), Decyl Cocoate, Glycerin, Parfum (Fragrance), Helianthus Annuus (Sunflower) Seed Oil, Theobroma Cacao (Cocoa) Seed Butter, Theobroma Grandiflorum Seed Butter, Cetyl Alcohol, Glyceryl Stearate Citrate, Polyglyceryl-3 Stearate, Cera Alba (Beeswax, Cire D'abeille), Cocos Nucifera (Coconut) Oil, Olea Europaea (Olive) Fruit Oil, Vitis Vinifera (Grape) Seed Oil, Tocopherol, Aloe Barbadensis Leaf Juice, Mel (Honey, Miel), Rosmarinus Officinalis (Rosemary) Leaf Extract, Lactic Acid, Xanthan Gum, Sucrose Stearate, Sodium Stearoyl Lactylate, Sodium Benzoate, Magnesium Aluminum Silicate, Glycine Soja (Soybean) Oil, Canola Oil (Huile De Colza), Phenoxyethanol, Limonene. Soothingly Sensitive Aloe & Buttermilk Body Lotion: Dermatologist-tested, this hypo-allergenic blend of Aloe and Buttermilk pampers your beautiful skin. Non-greasy and made with 100% natural fragrance, it's improved with natural extracts like Chamomile, Calendula, St. John's Wort, Rosemary and Linden Flower. Helps nurture gently and absorbs quickly. Gives you up to 24-hour moisture (clinically proven). • Soothingly Sensitive Aloe & Buttermilk Body Lotion: 6 oz. ORDER NOW! • Soothingly Sensitive Aloe & Buttermilk Body Lotion: 12 oz. ORDER NOW! Ingredients: Aqua (Water, Eau), Glycerin, Decyl Cocoate, Helianthus Annuus (Sunflower) Seed Oil, Cera Alba (Beeswax, Cire D'abeille), Butyrospermum Parkii (Shea) Butter, Polyglyceryl-3 Stearate, Glyceryl Stearate Citratecetyl Alcohol, Cocos Nucifera (Coconut) Oil, Olea Europaea (Olive) Fruit Oil, Vitis Vinifera (Grape) Seed Oil, Aloe Barbadensis Leaf Juice, Butyris Lac (Buttermilk Powder, Babeurre En Poudre), Chamomila Recutita (Matricaria) Flower Extract, Calendula Officinalis Flower Extract, Centaurea Cyanus Flower Extract, Tilia Cordata Flower Extract, Rosmarinus Officinalis (Rosemary) Leaf Extract, Anthemis Nobilis Flower Extract, Hypericum Perforatum Extract, Parfum (Fragrance), Tocopherol, Sucrose Stearate, Xanthan Gum, Glycine Soja (Soybean) Oil, Canola Oil (Huile De Colza), Lactic Acid, Citric Acid, Glucose, Sodium Chloride, Sodium Stearoyl Lactylate, Sodium Benzoate, Magnesium Aluminum Silicate, Phenoxyethanol, Glucose Oxidase, Lactoperoxidase, Limonene. Naturally Nourishing Milk & Milk & Honey Lotion: The best body lotion helps nourish normal to dry skin is made with Milk, Honey, Vitamin E, Coconut and Grape Seed Oils for an ideal blend of nutrients. Designed to soften your skin, this delightful natural combination is clinically proven to hydrate for up to 24 hours. This non-greasy moisturizer absorbs quickly with 100% natural fragrance. • Naturally Nourishing Milk & Honey Body Lotion: 6 oz. ORDER NOW! • Naturally Nourishing Milk & Honey Body Lotion: 12 oz. ORDER NOW! Ingredients: Aqua (Water, Eau), Decyl Cocoate, Glycerin, Helianthus Annuus (Sunflower) Seed Oil, Cera Alba (Beeswax, Cire D'abeille), Parfum (Fragrance), Butyrospermum Parkii (Shea) Butter, Cetyl Alcohol, Glyceryl Stearate Citrate, Polyglyceryl-3 Stearate, Cocos Nucifera (Coconut) Oil, Olea Europaea (Olive) Fruit Oil, Vitis Vinifera (Grape) Seed Oil, Sine Adipe Lac (Nonfat Dry Milk, Poudre De Lait Écrémé), Mel (Honey, Miel), Aloe Barbadensis Leaf Juice, Rosmarinus Officinalis (Rosemary) Leaf Extract, Tocopherol, Beta-Carotene, Xanthan Gum, Sucrose Stearate, Glycine Soja (Soybean) Oil, Canola Oil (Huile De Colza), Lactic Acid, Citric Acid, Sodium Stearoyl Lactylate, Sodium Benzoate, Magnesium Aluminum Silicate, Phenoxyethanol, Benzyl Alcohol, Benzyl Benzoate, Benzyl Cinnamate, Citral, Coumarin, Limonene. Baby Bee Nourishing Lotion Calming: Blended with fragrances of Lavender and Vanilla to help lull baby to sleep, while the Shea Butter softens and naturally moisturizes baby's oh-so delicate skin. Safe, effective and natural. Pediatrician-tested and hypo-allergenic. • Baby Bee Nourishing Lotion Calming: 6 oz. ORDER NOW! • Baby Bee Nourishing Lotion Calming: 12 oz. ORDER NOW! Ingredients: Aqua (Water, Eau), Glycerin, Decyl Cocoate, Cera Alba (Beeswax, Cire D'abeille), Helianthus Annuus (Sunflower) Seed Oil, Butyrospermum Parkii (Shea) Butter, Cetyl Alcohol, Glyceryl Stearate Citrate, Polyglyceryl-3 Stearate, Cocos Nucifera (Coconut) Oil, Olea Europaea (Olive) Fruit Oil, Phenoxyethanol, Sodium Stearoyl Lactylate, Parfum (Fragrance), Magnesium Aluminum Silicate, Vitis Vinifera (Grape) Seed Oil, Aloe Barbadensis Leaf Juice, Xanthan Gum, Sucrose Stearate, Lactic Acid, Tocopherol, Calendula Officinalis Flower Extract, Chamomilla Recutita (Matricaria) Flower Extract, Anthemis Nobilis Flower Extract, Centaurea Cyanus Flower Extract, Hypericum Perforatum Extract, Tilia Cordata Flower Extract, Glycine Soja (Soybean) Oil, Canola Oil (Huile De Colza), Butyris Lac (Buttermilk Powder, Babeurre En Poudre), Rosmarinus Officinalis (Rosemary) Leaf Extract, Glucose, Sodium Benzoate, Sodium Chloride, Citric Acid, Lactoperoxidase, Glucose Oxidase, Citral, Citronellol, Coumarin, Eugenol, Farnesol, Geraniol, Limonene, Linalool. • Baby Bee Nourishing Lotion Original: Made with Buttermilk, Shea Butter and Sunflower Seed Oil to intensely moisturize baby's skin for smooth and super soft. Provides clinically-proven hydration up to 24 hours giving your baby super soft, silky skin. This buttermilk lotion is also free of synthetic fragrances. Safe, effective and natural. Pediatrician-tested and hypo-allergenic. • Baby Bee Nourishing Lotion Original: 6 oz. ORDER NOW! • Baby Bee Nourishing Lotion Original: 12 oz. ORDER NOW! Ingredients: Aqua (Water, Eau), Glycerin, Decyl Cocoate, Helianthus Annuus (Sunflower) Seed Oil, Cera Alba (Beeswax, Cire D'abielle), Butyrospermum Parkii (Shea) Butter, Polyglyceryl-3 Stearate, Glyceryl Stearate Citrate, Cetyl Alcohol, Butyris Lac (Buttermilk Powder, Babeurre En Poudre), Cocos Nucifera (Coconut) Oil, Olea Europaea (Olive) Fruit Oil, Vitis Vinifera (Grape) Seed Oil, Aloe Barbadensis Leaf Juice, Chamomila Recutita (Matricaria) Flower Extract, Calendula Officinalis Flower Extract, Centaurea Cyanus Flower Extract, Tilia Cordata Flower Extract, Rosmarinus Officinalis (Rosemary) Leaf Extract, Anthemis Nobilis Flower Extract, Hypericum Perforatum Extract, Parfum (Fragrance), Tocopherol, Sucrose Stearate, Xanthan Gum, Glycine Soja (Soybean) Oil, Canola Oil (Huile De Colza), Lactic Acid, Citric Acid, Glucose, Sodium Chloride, Sodium Stearoyl Lactylate, Sodium Benzoate, Magnesium Aluminum Silicate, Phenoxyethanol, Glucose Oxidase. • Baby Bee Nourishing Lotion Fragrance Free: Maintain your baby's skin smooth and soft with this gentle hypo-allergenic, fragrance-free Nourishing-Lotion. Made with Aloe and Shea Butter, Baby Bee Fragrance Free Lotion is safe for even the most sensitive, baby-soft skin. Pediatrician tested. BODY LOTION: Body Lotion, 6 oz. BODY LOTION: Body Lotion, 12 oz. • Peppermint Foot Lotion: Kick up your heels. Cool your feet with this natural foot lotion. It's lovingly made with Peppermint and Menthol to revive tired feet while Vegetable-based Glycerin and Coconut Oil help soften calluses. Leaving you with soft, smooth beautifully invigorated skin. Smoothes and invigorates feet. 4.3 oz. ORDER NOW! Ingredients: Water, Helianthus Annuus (Sunflower) Seed Oil, Glycerin, Cocos Nucifera (Coconut) Oil, Beeswax, Mentha Piperita (Peppermint) Oil, Stearic Acid, Hamamelis Virginiana (Witch Hazel) Water, Menthol, Sodium Bicarbonate, Melaleuca Alternifolia (Tea Tree) Leaf Oil, Petroselinum Sativum (Parsley) Extract, Triticum Vulgare (Wheat) Germ Oil, Citrus Aurantium Dulcis (Orange) Peel Wax, Rosmarinus Officinalis (Rosemary) Leaf Extract, Tocopherol, Sucrose Stearate, Glucose, Xanthan Gum, Glycine Soja (Soybean) Oil, Canola Oil, Sodium Borate, Sodium Chloride, Glucose Oxidase, Lactoperoxidase, Limonene. • Baby Bee Fragrance Free Lotion: Maintain your baby's skin smooth and soft with this gentle hypo-allergenic, fragrance-free formula. Supplemented with Aloe and Shea Butter, our Baby Bee Fragrance Free Lotion is safe for even the most sensitive, baby-soft skin. Pediatrician tested and Hypo-allergenic. 6 oz. ORDER NOW! Ingredients: Aqua (Water, Eau), Glycerin, Decyl Cocoate, Helianthus Annuus (Sunflower) Seed Oil, Cera Alba (Beeswax, Cire D'abeille), Butyrospermum Parkii (Shea) Butter, Polyglyceryl-3 Stearate, Glyceryl Stearate Citrate, Cetyl Alcohol, Sodium Stearoyl Lactylate, Olea Europaea (Olive) Fruit Oil, Cocos Nucifera (Coconut) Oil, Aloe Barbadensis Leaf Juice, Anthemis Nobilis Flower Extract, Butyris Lac (Buttermilk Powder, Babeurre En Poudre), Calendula Officinalis Flower Extract, Canola Oil (Huile De Colza), Centaurea Cyanus Flower Extract, Chamomilla Recutita (Matricaria) Flower Extract, Citric Acid, Glucose, Glycine Soja (Soybean) Oil, Hypericum Perforatum Extract, Lactic Acid, Magnesium Aluminum Silicate, Rosmarinus Officinalis (Rosemary) Leaf Extract, Sodium Benzoate, Sodium Chloride, Sucrose Stearate, Tilia Cordata Flower Extract, Tocopherol, Vitis Vinifera (Grape) Seed Oil, Xanthan Gum, Phenoxyethanol, Glucose Oxidase, Lactoperoxidase..
• Shea Butter & Vitamin E Body Lotion: This non-greasy, hypoallergenic body lotion provides all skin types the nourishment they need without all the irritation. Dermatologist-tested and clinically proven to hydrate for up to 24 hours, this special blend is made with hydrating Shea Butter and Vitamin E with natural botanicals like Chamomile, Calendula, St. John's Wort, Rosemary and Linden Flower. Dermatologist tested. Fragrance free. 6 oz. ORDER NOW! Ingredients: Aqua (Water, Eau), Glycerin, Decyl Cocoate, Helianthus Annuus (Sunflower) Seed Oil, Cera Alba (Beeswax, Cire D'abeille), Butyrospermum Parkii (Shea) Butter, Polyglyceryl-3 Stearate, Glyceryl Stearate Citrate, Cetyl Alcohol, Cocos Nucifera (Coconut) Oil, Olea Europaea (Olive) Fruit Oil, Vitis Vinifera (Grape) Seed Oil, Aloe Barbadensis Leaf Juice, Butyris Lac (Buttermilk Powder, Babeurre En Poudre), Chamomilla Recutita (Matricaria) Flower Extract, Calendula Officinalis Flower Extract, Centaurea Cyanus Flower Extract, Tilia Cordata Flower Extract, Rosmarinus Officinalis (Rosemary) Leaf Extract, Anthemis Nobilis Flower Extract, Hypericum Perforatum Extract, Tocopherol, Sucrose Stearate, Xanthan Gum, Glycine Soja (Soybean) Oil, Canola Oil (Huile De Colza), Lactic Acid, Citric Acid, Glucose, Sodium Chloride, Sodium Stearoyl Lactylate, Sodium Benzoate, Magnesium Aluminum Silicate, Phenoxyethanol, Glucose Oxidase, Lactoperoxidase. • Radiance Day Lotion SPF 7: The lightweight SPF 7 Day Lotion helps enhance skin's natural radiance while Calendula and Golden Seal Extracts help to soften and calm skin. Blended with Titanium Dioxide and Zinc Oxide helps provide natural protection against sunburn. This best natural facial moisturizer with SPF7 offered dull skin for a youthful glow. Enriched with Royal Jelly, the result is naturally radiant, younger-looking skin. Dermatologist Tested. 2 oz. ORDER NOW! Active Ingredient: Titanium Dioxide (2.55%), Zinc Oxide (3.0%). Inactive Ingredients: Water, Helianthus Annuus (Sunflower) Seed Oil, Ricinus Communis (Castor) Seed Oil, Glycerin, Cocos Nucifera (Coconut) Oil, Sucrose Distearateroyal Jelly, Sucrose Stearate, Acacia Senegal Gum, Calendula Officinalis Flower Extract, Hamamelis Virginiana (Witch Hazel) Extract, Hydrastis Canadensis (Golden Seal) Extract, Xanthan Gum, Lecithin, Citric Acid, Fragrance, Chlorphenesin Phenoxyethanol. • Ultimate Care Body Lotion: This non-greasy, quick-absorbing natural body lotion offers helps to moisturize all-day and naturally softens for extremely dry skin. Blended with nurturing Baobab Oil, nutrient-rich Pumpkin Seed Oil and the exquisite fragrance of Green Tea Extract. Contains no added fragrance. Dermatologist Tested and Hypoallergenic. 6 oz. ORDER NOW! • Natural Acne Solutions Daily Moisturizing Lotion: The best moisturizer for acne is lightweight and clinically proven to help control oil and protect against blemishes without irritating your skin. Blended with Lemongrass, Witch Hazel, Goldenseal and Hops, helps comfort and calms irritated skin. Provides a clear, smooth, healthy looking skin. Naturally. Noncomedogenic. Dermatologist Tested. 2 oz. ORDER NOW! Active Ingredient: Salicylic Acid (1.0%), Inactive Ingredients: Water, Helianthus Annuus (Sunflower) Seed Oil, Glycerin, Stearic Acid, Sucrose Distearate, Salix Nigra (Willow) Bark Extract, Sucrose Stearate, Cymbopogon Schoenanthus (Lemongrass) Extracthamamelis Virginiana (Witch Hazel) Water, Humulus Lupulus (Hops) Extract, Equisetum Hiemale (Horsetail) Leaf Extract, Hydrastis Canadensis (Golden Seal) Extract, Epilobium Fleischeri (Gravel Willow) Extract, Lecithin Chrondrus Crispus (Carrageenan) Extract, Fragrance, Glucose, Xanthan Gum, Sodium Borate, Sodium Chloride, Glucose Oxidase, Lactoperoxidase. BODY LOTION: Naturally Acne Solutions Daily Moisturizing Lotion, 2 oz. BODY LOTION: Ultimate Care Body Lotion, 6 oz. • Naturally Ageless Diminishing Day Lotion: Luxurious natural face Diminishing Day Lotion is clinically proven to moisturize and help reduce the appearance of fine lines and wrinkles. Made with Pomegranate to help fight free radical damage, Para Cress and Wild Yam Root Extract helps target specific signs of aging for a soft and smooth skin. 2 oz. ORDER NOW! Ingredients: Water, Helianthus Annuus (Sunflower) Seed Oil, Glycerin, Stearic Acid, Sucrose Distearate, Alcohol, Denat., Sucrose Stearate, Dioscorea Villosa (Wild Yam) Root Extractpunica Granatum (Pomegranate) Extract, Acmella Oleracea (Para Cress) Extract, Chrondrus Crispus (Carrageenan) Extract, Lecithin, Fragrance, Xanthan Gum, Chlorphenesin, Sodium Borate, Phenoxyethanol. • Intense Hydration Day Lotion: Fast-absorbing, clinically proven Intense Hydration Day Lotion helps deliver deep moisture to dry skin and help reduce the appearance of lines and wrinkles. Made with Clary Sage to help increase skin's ability to lock in moisture, so your dry skin is left feeling soft and supple for a rejuvenated look. Absorbs quickly with non-greasy formula. Dermatologist Tested. 1.8 oz. ORDER NOW! Ingredients: Aqua (Water, Eau), Caprylic/Capric Triglyceride, Glycerin, Cetyl Alcohol, Stearyl Alcohol, Glyceryl Stearate, Parfum (Fragrance), Propanediol, Salvia Sclarea (Clary) Extract, Lactobacillus, Astrocaryum Tucuma Seed Buttertrichilia Emetica Seed Butter, Cera Alba (Beeswax, Cire D'abeille), Simmondsia Chinensis (Jojoba) Seed Oil, Aloe Barbadensis Leaf Powder, Persea Gratissima (Avocado) Oil, Citrus Aurantium Amara (Bitter Orange) Peel Polymnia Sonchifolia Root Juice, Lecithin, Alpha-Glucan Oligosaccharide, Maltodextrin, Tocopherol, Xanthan Gum, Glycine Soja (Soybean) Oil, Stearic Acid, Sodium PCA, Potassium Stearate, Potassium Sorbate Sodium Benzoate, Phenoxyethanol, Amyl Cinnamal, Eugenol, Hydroxycitronellal, Linalool. Sheer Body Lotion: Lightweight Sheer Body Lotion helps your skin feeling silky and smooth. Made with Safflower Oil Oleosomes to instantly hydrate skin and leave it feeling silky and smooth. Absorbs into skin within seconds without leaving skin feeling sticky or greasy. [97% of women felt improved skin hydration 4 hours after first use]. • Sheer Body Lotion Clementine & Calla Lily:Light, refreshing scent Clementine & Calla Lily 8 oz. ORDER NOW! • Sheer Body Lotion Violet & Mango: Tantalizing scent of Violet and Mango. 8 oz. ORDER NOW! • Sheer Body Lotion Cucumber & Aloe:a soothing scent of Cucumber & Aloe 8 oz. ORDER NOW! Ingredients: Water, Caprylic/Capric Triglyceride, Glycerin, Lauryl Lactyl Lactate, Glyceryl Stearate, Cetearyl Alcohol, Helianthus Annuus (Sunflower) Seed Oil, Carthamus Tinctorius (Safflower) Oleosomes, Behenyl Alcohol, Coco-Caprylate, Fragrance, Arachidyl Alcohol, Arginine, Butyrospermum Parkii (Shea) Butter, Cocos Nucifera (Coconut) Oil, Gluconic Acid, Phenoxyethanol, Polyglyceryl-4 Caprate, Potassium Stearate, Sclerotium Gum, Sodium Benzoate, Stearyl Alcohol, Tocopherol, Xanthan Gum. BODY LOTION: Sheer Body Lotion, 8 oz. BODY LOTION: Naturally Ageless Diminishing Day Lotion, 2 oz. BODY LOTION: Intense Hydration Day Lotion, 1.8 oz. No parabens, phthalates or petrochemicals. Never ever tested on animals. • Body Lotion Orange Petalooza: Naturally moisturizing Shea Butter quenches skin and absorbs quickly. The perfume of Blood Orange and Hyacinth leaves skin smelling delightful. Leaves skin soft and deliciously citrusy. 8 oz. ORDER NOW! Ingredients: Water, Cetearyl Glucoside, Fragrance, Butyrospermum Parkii (Shea Butter), Cetyl Alcohol, Tapioca Starch, Caprylic/Capric Triglyceride, Glycerin, Helianthus Annuus (Sunflower) Seed Oil, Phenoxyethanol, Hyssopus Officinalis Extract, Juglans Nigra (Black Walnut) Leaf Extract, Melissa Officinalis Leaf Extract, Rosa Canina Fruit Extract, Rubus Idaeus (Raspberry) Leaf Extract, Tocopherol, Cetearyl Alcohol, Xanthan Gum, Potassium Sorbate, Citric Acid, Glycine Soja (Soybean) Oil, Alcohol denat. • Body Lotion Mango Moonbreeze: Fragrances of Mango, Jasmine and vacation. Softens sun-kissed skin. 3 oz. ORDER NOW! Ingredients: Water, Cetearyl Alcohol, Butyrospermum Parkii (Shea) Butter, Cetyl Alcohol, Tapioca Starch, Fragrance, Caprylic/Capric Triglyceride, Glycerin, Helianthus Annuus (Sunflower) Seed Oil, Hyssopus, Officinalis Extract, Juglans Nigra (Black Walnut) Leaf Extract, Melissa Officinalis Leaf Extract, Rosa Canina Fruit Extract, Rubus Idaeus (Raspberry) Leaf Extract, Tocopherol, Glycine Soja (Soybean) Oil,, Cetearyl Glucoside, Xanthan Gum, Potassium Sorbate, Citric Acid, Alcohol Denat., Phenoxyethanol. • Body Lotion Pearanormal Activity: A delightful drink for skin, with the invigorating scent of Pear and Acai Berry. Blended with natural Shea Butter for a super head to toe softening. Smells like a pear, freshly pared. 3 oz. ORDER NOW! • Body Lotion Red Ruby Groovy: Cover skin with the lively fragrance of Grapefruit and Wild Thyme. Softens skin, then melts hearts! 3 oz. ORDER NOW! Ingredients: Water, Cetearyl Glucoside, Fragrance, Butyrospermum Parkii (Shea Butter), Cetyl Alcohol, Tapioca Starch, Caprylic/Capric Triglyceride, Glycerin, Helianthus Annuus (Sunflower) Seed Oil, Phenoxyethanol, Hyssopus Officinalis Extract, Juglans Nigra (Black Walnut) Leaf Extract, Melissa Officinalis Leaf Extract* Rosa Canina Fruit Extract, Rubus Idaeus (Raspberry) Leaf Extract, Tocopherol, Cetearyl Alcohol, Xanthan Gum, Potassium Sorbate, Citric Acid, Glycine Soja (Soybean) Oil, Alcohol Denat. BODY LOTION: Natural Body Lotion, 8 oz. • Natural Moisturizer Fragrance-Free Olive & Aloe: Emollient rich Olive Oil and healing Aloe is the perfect blend for healthy, beautiful skin. This wonderful moisturizer is fragrance free for even the most sensitive skin. 16 oz. ORDER TODAY! Ingredients: Water, Stearic Acid, Isopropyl Palmitate, Glycerin, Cetyl Alcohol, Sodium Borate, Aloe Barbadensis Leaf Juice, Olea Europaea (Olive) Fruit Oil, Avena Sativa (Oat Protein),Butyrospermum Parkii (Shea Butter), Helianthus Annus (Sunflower Oil) Seed Oil, Lavandula Angustifolia (Lavender) Extract, Chamomilla Recutita (Matricaria) Flower Extract, Foeniculum Vulgare (Fennel) Extract, Sambucus Nigra (Elderberry) Flower Extract, Calendula Officinalis (Marigold) Flower Extract, Citrus Aurantium Dulcis (Orange) Flower Extract, Salvia Officinalis (Sage) Leaf Extract, Achillea Millefolium (Yarrow) Extract, Prunus Amygdalus Dulcis (Sweet Almond) Oil, Xanthan Gum, Retinyl Palmitate (Vitamin A Palmitate), Tocopheryl Acetate (Vitamin E Acetate), Allantoin, Lecithin, Cetyl Esters, Polysorbate 80, Squalane, Titanium Dioxide, Trisodium EDTA, 1-2 Hexanediol/Caprylyl Glycol, Phenoxyethanol, Sorbic Acid. • Natural Moisturizer Honey & Calendula: For Extra Dry Skin. This remarkable ancient blend is perfect for hydrating dry chapped skin. Invigorating and moisturizing Honey is combined with therapeutic and calming Calendula for a formula that helps alleviate thirsty distressed skin. 16 oz. ORDER NOW! Ingredients: Water, Stearic Acid, Cocos Nucifera (Coconut) Oil, Isopropyl Myristate, Glycerin, Glyceryl Stearate, PEG-100 Stearate, Vitis Vinifera (Grape) Seed Oil, Cetyl Alcohol, Coco-Caprylate/ Caprate, Squalane. Aloe Barbadensis Leaf Juice, Honey, Calendula Officinalis Flower Extract, Chamomilla Recutita (Matricaria) Flower Extract, Salvia Officinalis (Sage) Leaf Extract, Achillea Millifolium (Yarrow) Extract, Citrus Aurantium Dulcis (Orange) Flower Extract, Lavandula Angustifolia (Lavender) Extract, Sambucus Nigra Flower Extract, Foeniculum Vulgare (Fennel) Fruit Extract, Panthenol, Tocopheryl Acetate, Retinyl Palmitate, Xanthan Gum, Fragrance, Tromethamine, Tetrasodium EDTA, Phenoxyethanol, Caprylyl Glycol, Potassium Sorbate, Sorbic Acid, Linalool (from essential oil). • Natural Moisturizer Lavender & Shea Butter: Made with Lavender to balance, soothe and relax, Shea Butter to protect and nurture. Blend together and you get a fragrant and moisturizing sensation that helps promote elasticity and smooth rough skin. 16 oz. ORDER NOW! Ingredients: Water, Stearic Acid, Isopropyl Palmitate, Vegetable Glycerin, Cetyl Alcohol, Helianthus Annuus (Sunflower) Seed Oil, Butyrospermum Parkii (Shea) Nut Butter, Lavandula Angustifolia (Lavender) Flower Oil, Cocos Nucifera (Coconut) Oil, Olea Europaea (Olive) Fruit Oil, Vitis Vinifera (Grape) Seed Oil, Squalane, Aloe Barbadensis (Aloe Vera) Leaf Juice, Oryza Sativa (Rice) Bran Oil, Panthenol (Vitamin B5), Calendula Officinalis (Marigold) Flower Extract, Chamomillia Recutita (Matricaria) Flower Extract, Citrus Aurantium Dulcis (Orange) Flower Extract, Lavandula Angustifolia (Lavender) Flower Extract, Cetyl Esters, Sodium Borate, Xanthan Gum, Sodium Phytate, Polysorbate 80, Tocopheryl Acetate (Vitamin E), Phenoxyethanol, Caprylyl Glycol, Sorbic Acid. • Natural Moisturizer Coconut: Combined with moisturizing Coconut Water, emollient rich Coconut Oil, Olive Oil, Grape Seed Oil and Shea Butter to provide a tropical treat that calms and hydrates. This luscious formula is like a vacation for your skin! 16 oz. ORDER NOW! Ingredients: Aqua, Stearic Acid, Glycerin, Isopropyl Palmitate, Cetyl Alcohol, Propanediol, Cocos Nucifera (Coconut) Water, Cetyl Esters, Helianthus Annuus (Sunflower) Seed Oil, Cocos Nucifera (Coconut) Oil, Squalane, Butyrospermum Parkii (Shea) Butter, Olea Europaea (Olive) Fruit Oil, Vitis Vinifera (Grape) Seed Oil, Aloe Barbadensis Leaf Juice, Oryza Sativa (Rice) Bran Oil, Fragrance (Parfum), Panthenol, Tocopheryl Acetate, Sodium Phytate, Sodium Borate, Xanthan Gum, Phenoxyethanol, Caprylyl Glycol, Sorbic Acid. • Natural Moisturizer Pomergranate Acai: The antioxidant power-house of Pomegranate Acai is blended with Olive Oil, Aloe Vera, Shea Butter and essential oils from Grape Seed and Coconut. This remarkable fruit formula really calms and nurtures … a real skin saver! 16 oz. ORDER NOW! Ingredients: Water (Aqua), Stearic Acid, Isopropyl Palmitate, Glycerin, Cetyl Alcohol, Cetyl Esters, Helianthus Annuus (Sunflower) Seed Oil, Butyrospermum Parkii (Shea) Butter, Cocos Nucifera (Coconut) Oil, Fragrance (Natural), Olea Europaea (Olive) Fruit Oil, Vitis Vinifera (Grape) Seed Oil, Sodium Phytate, Aloe Barbadensis Leaf Juice Powder, Oryza Sativa (Rice) Bran Oil, Panthenol, Polysorbate 80, Xanthan Gum, Punica Granatum (Pomegranate) Extract, Euterpe Oleracea (Acai) Fruit Oil, Natural Fragrance, Squalane, Tocopheryl Acetate, Sodium Borate, Phenoxyethanol, Caprylyl Glycol, Sorbic Acid, Titanium Dioxide. BODY LOTION: Natural Moisturizer, 16 oz. • Natural Moisturizer Olive & Aloe: For Sensitive Skin. Emollient rich Olive Oil and healing Aloe is the ideal blend for nourishing, beautiful skin. Protect and invigorate all day and night with this splendid lotion for sensitive skin. 16 oz. ORDER NOW! Ingredients: Water, Stearic Acid, Isopropyl Palmitate, Glycerin, Cetyl Alcohol, Sodium Borate, Aloe Barbadensis Leaf Juice, Olea Europaea (Olive) Fruit Oil, Avena Sativa (Oat Protein), Butyrospermum Parkii (Shea Butter), Helianthus Annus (Sunflower Oil) Seed Oil, Lavendula Angustifolia (Lavender) Extract, Chamomilla Recutita (Matricaria) Flower Extract, Foeniculum Vulgare (Fennel) Extract, Sambucus Nigra (Elderberry) Flower Extract, Citrus Aurantium Dulcis (Orange) Flower Extract, Salvia Officinalis (Sage) Leaf Extract, Achillea Millefolium (Yarrow) Extract, Prunus Amygdalus Dulcis (Sweet Almond) Oil, Xanthan Gum, Retinyl Palmitate (Vitamin A Palmitate), Tocopheryl Acetate (Vitamin E Acetate), Allantoin, Lecithin, Cetyl Esters, Polysorbate 80, Squalane, Titanium Dioxide, Trisodium EDTA, 1,2 Hexanediol/Caprlyl Glycol, Phenoxyethanol, Sorbic Acid, Citrus Aurantium Dulcis (Orange) Peel Oil, Citrus Nobilis (Mandarine Orange) Peel Oil, Citrus Medica Limonium (Lemon) Peel Oil, Citrus Grandis (Grapefruit) Peel Oil, Evernia Prunasti (Oakmoss) Extract, Viola Odorata (Violet) Flower Extract. • Natural Moisturizer Peaceful Patchouli: (Aromatherapeutic Harmony) Peace, Love & Patchouli – a fragrant essential oil that comforts dry, sensitive and chapped skin. Add Hemp Seed Oil to calm irritations. Cool! Protect and recondition with this extremely exclusive moisturizer. 16 oz. ORDER NOW! Ingredients: Water, Stearic Acid, Isopropyl Palmitate, Vegetable Glycerin, Cetyl Alcohol, Helianthus Annuus (Sunflower) Seed Oil, Butyrospermum Parkii (Shea) Nut Butter, Cocos Nucifera (Coconut) Oil, Olea Europaea (Olive) Fruit Oil, Vitis Vinifera (Grape) Seed Oil, Squalane, Aloe Barbadensis (Aloe Vera) Leaf Juice, Pogostemon Cablin (Patchouli) Oil, Oryza Sativa (Rice) Bran Oil, Panthenol (Vitamin B5), Cannabis Sativa (Hemp) Seed Oil, Calendula Officinalis (Marigold) Flower Extract, Chamomillia Recutita (Matricaria) Flower Extract, Citrus Aurantium Dulcis (Orange) Flower Extract, Cetyl Esters, Sodium Borate, Xanthan Gum, Sodium Phytate, Polysorbate 80, Tocopheryl Acetate (Vitamin E), Phenoxyethanol, Caprylyl Glycol, Sorbic Acid. • Natural Moisturizer Peaches & Creme AHA: Treat yourself with a daily moisturizer that has mild natural fruit acids to exfoliate, promote healthy new skin cells and reduce discoloration. So fresh and peachy! A luxurious lotion for improving and restoring all skin types. 16 oz. ORDER NOW! Ingredients: Water, Isopropyl Myristate, Glyceryl Stearate, PEG-100 Stearate, Cetearyl Alcohol, Glycerin, Vaccinum Myrtillus (Bilberry) Fruit/Leaf Extract, Saccharum (Sugar Cane) Extract, Acer Saccharum (Sugar Maple) Extract, Citrus Aurantium Dulcis (Orange) Fruit Extract, Citrus Medica Limonium (Lemon) Fruit Extract, Cetyl Alcohol, Coco-Caprylate/Caprate, Vitis Vinifera (Grape) Seed Oil, Carthamus Tinctorius (Safflower) Seed Oil, Helianthus Annuus (Sunflower Oil) Seed Oil, Butyrospermum Parkii (Shea Butter), Ceteareth 20, Squalane, Aloe Barbadensis Leaf Juice, Calendula Officinalis (Marigold) Flower Extract, Chamomilla Recutita (Matricaria) Flower Extract, Salvia Officinalis (Sage) Leaf Extract, Achillea Millefolium (Yarrow) Extract, Citrus Aurantium Dulcis (Orange) Flower Extract, Lavandula Angustifolia (Lavender) Extract, Sambucus Nigra (Elder) Flower Extract, Foeniculum Vulgare (Fennel) Fruit Extract, Panthenol, Tocopheryl Acetate (Vitamin E Acetate), Retinyl Palmitate (Vitamin A Palmitate), Xanthan Gum, Fragrance (Does not contain fragrance allergens as per EU7th Amendment), Trisodium EDTA, Phenoxyethanol, Caprylyl Glycol, Potassium Sorbate, Sorbic Acid. • Natural Moisturizer Vitamin A & E: This antioxidant blend of Vitamin A, Vitamin E, moisture rich Grape Seed Oil and calming Aloe Vera helps moisturize healthy skin! Luxurious and extra rich, this formula softens, conditions and replenishes for healthy, beautiful skin. 16 oz. ORDER NOW! BODY LOTION: Herbal Moisturizer, 16 oz.